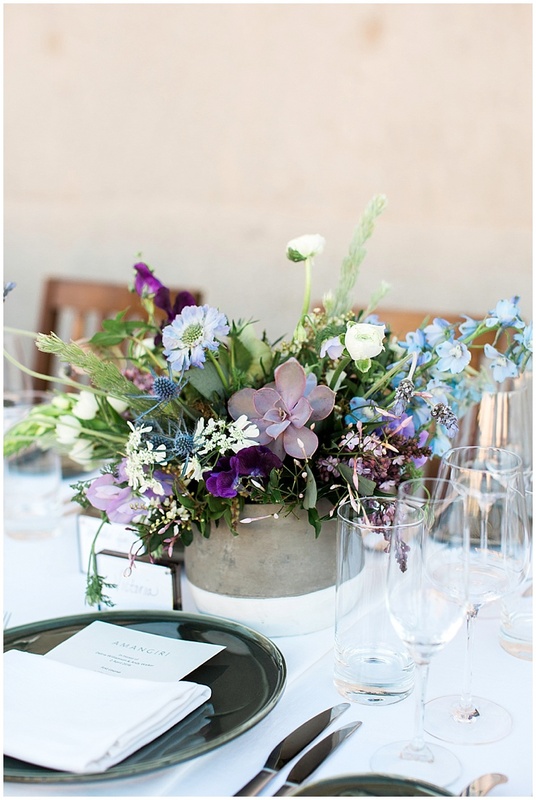 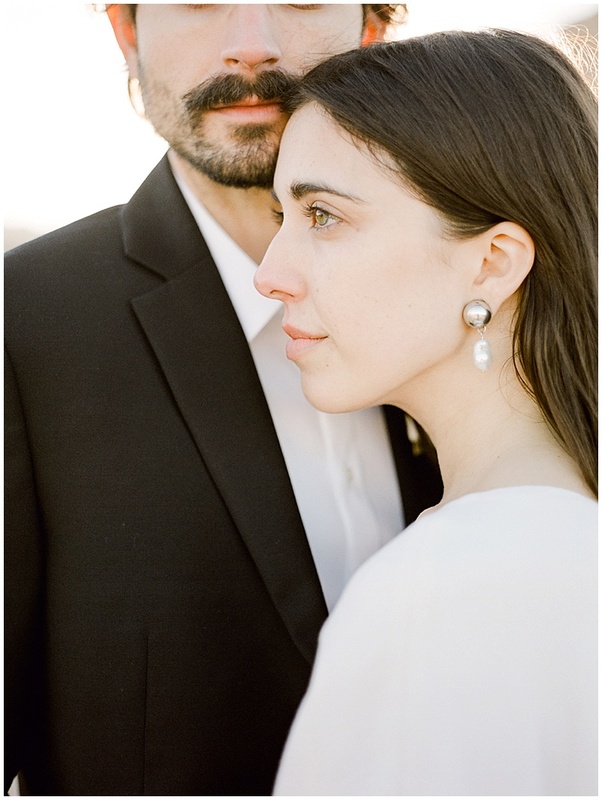 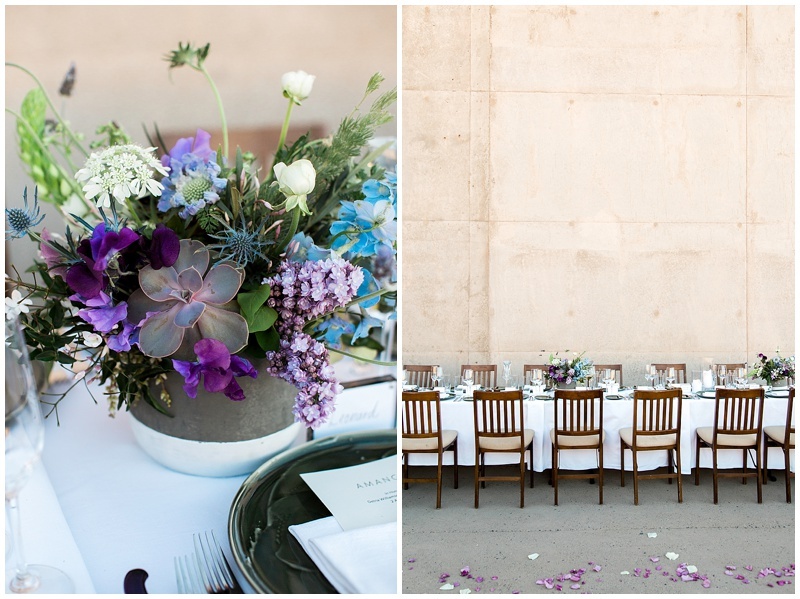 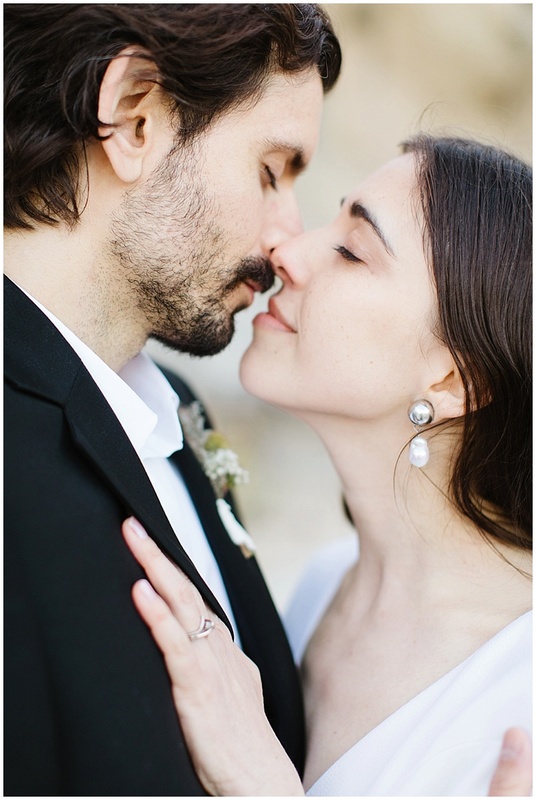 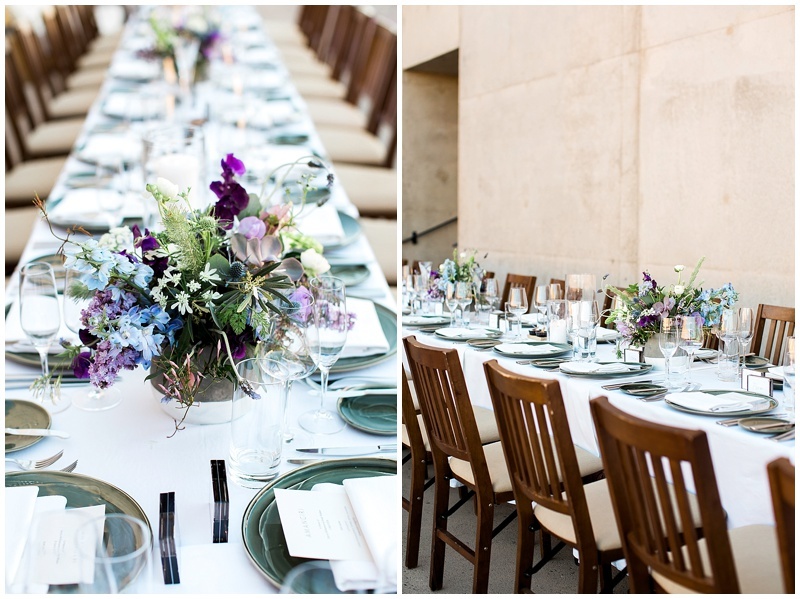 When you live in New York you dream of open spaces and starry skies, and this New York couple wanted something quiet and modern for their wedding celebration. 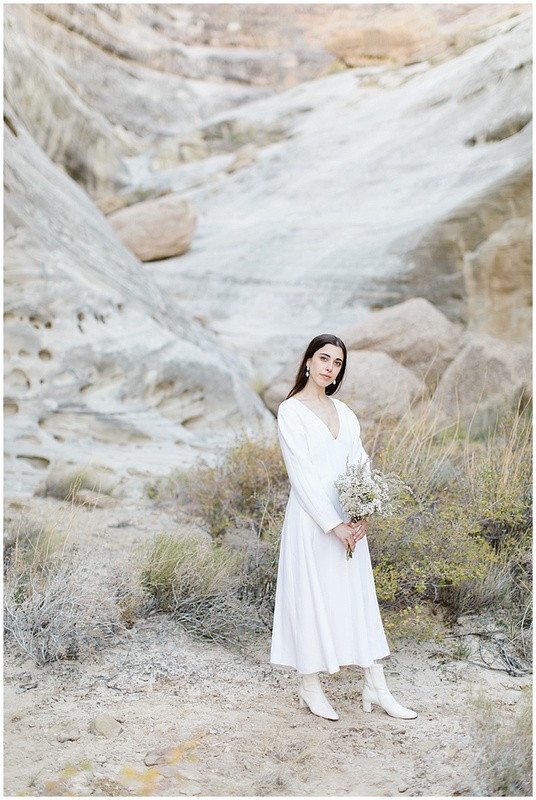 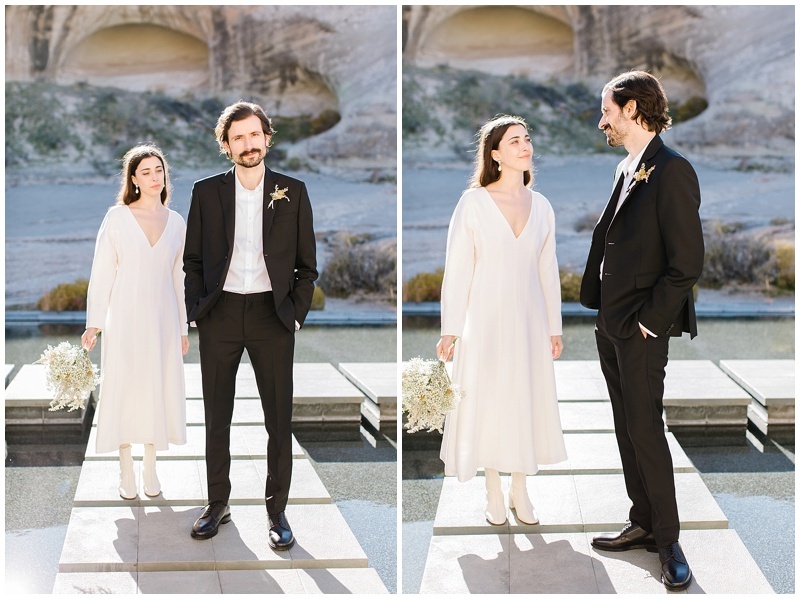 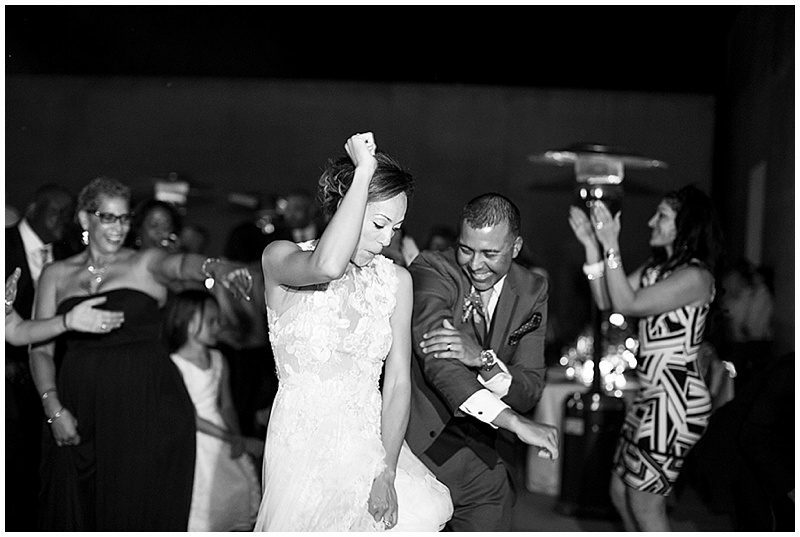 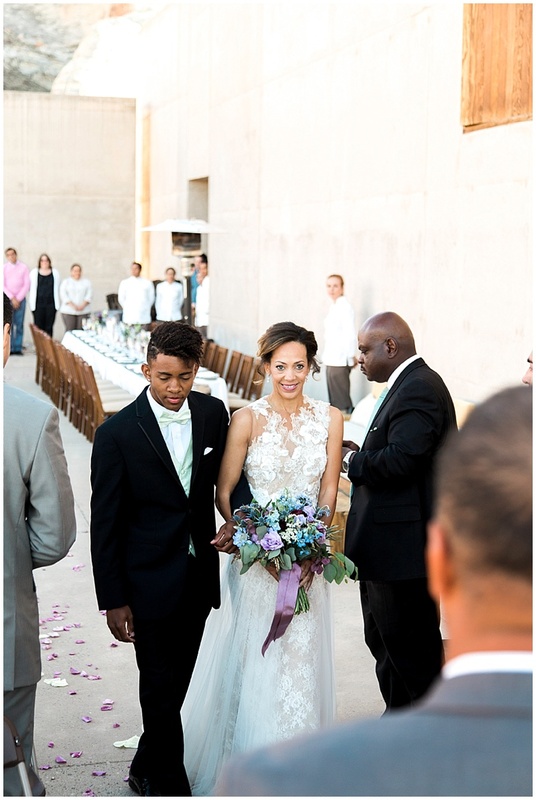 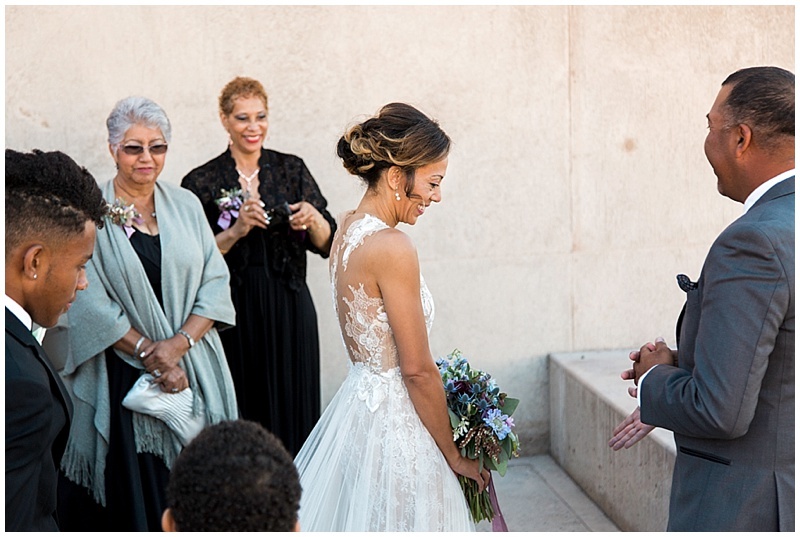 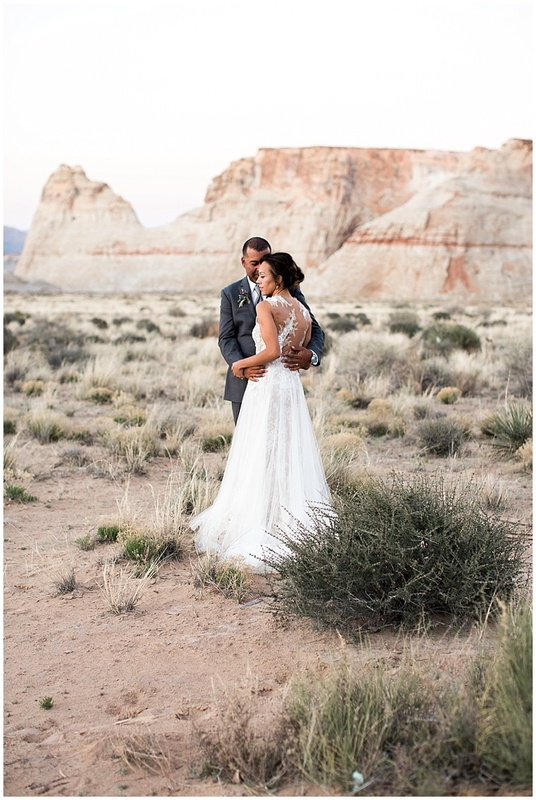 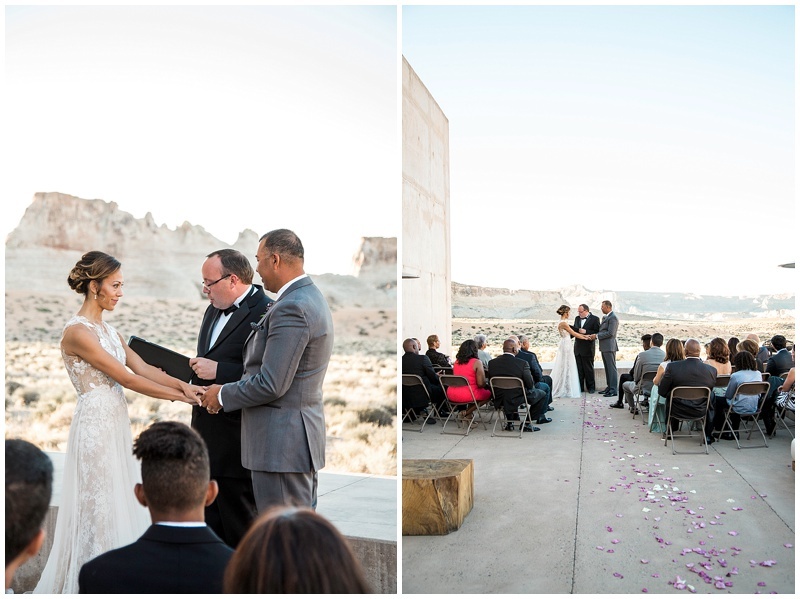 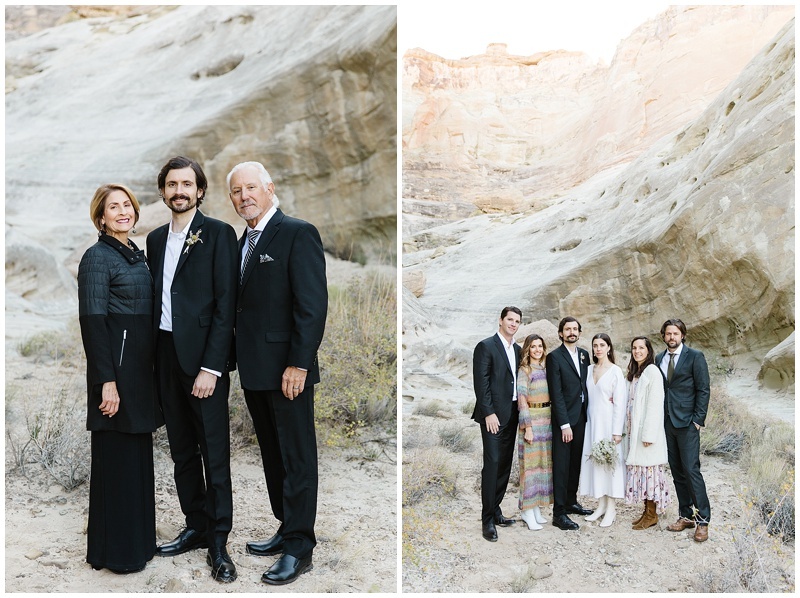 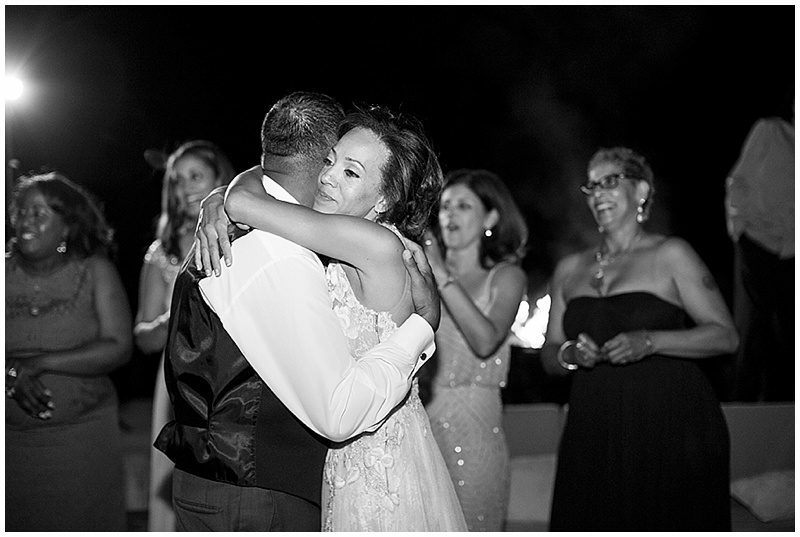 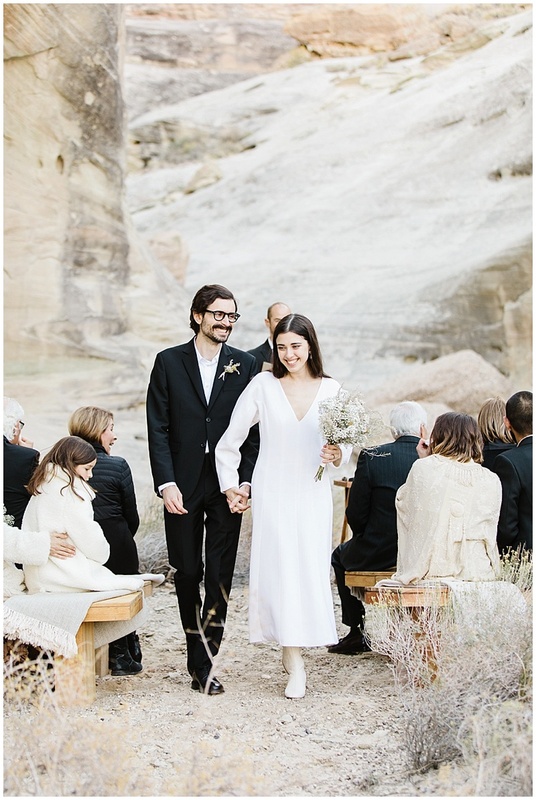 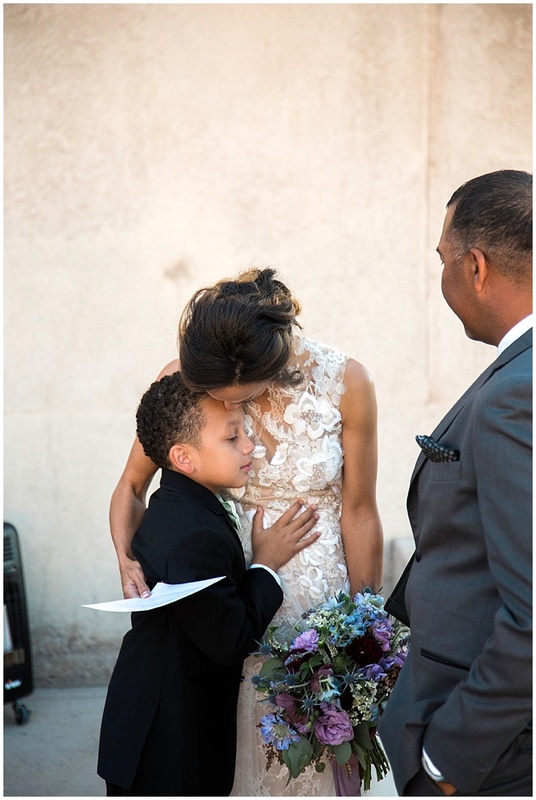 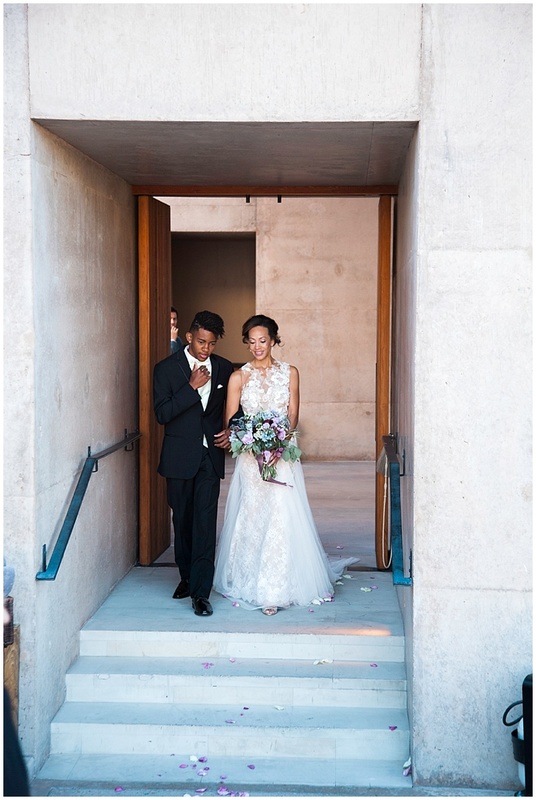 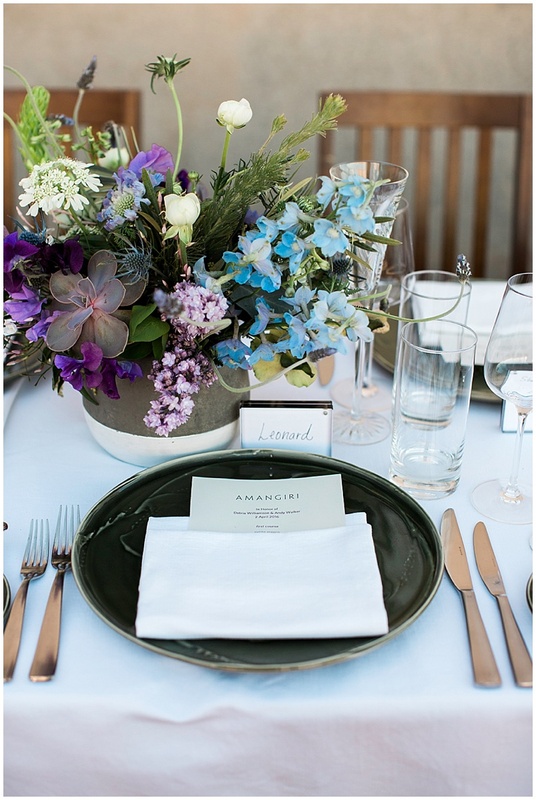 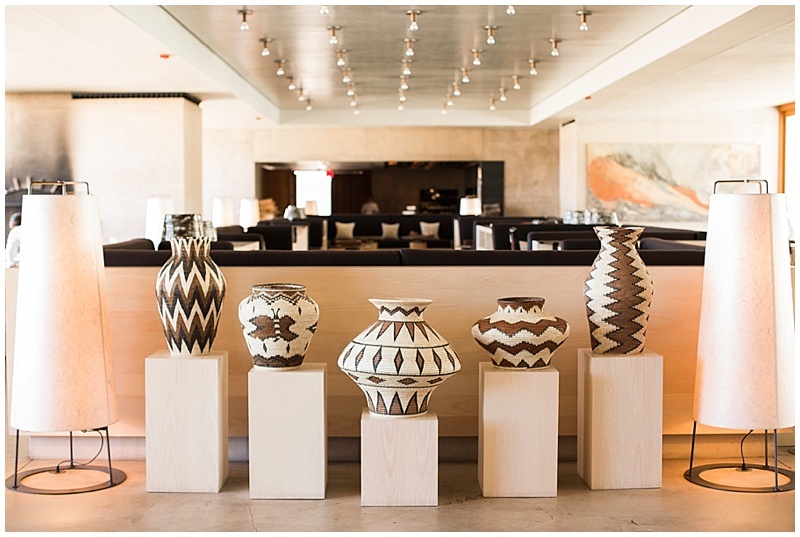 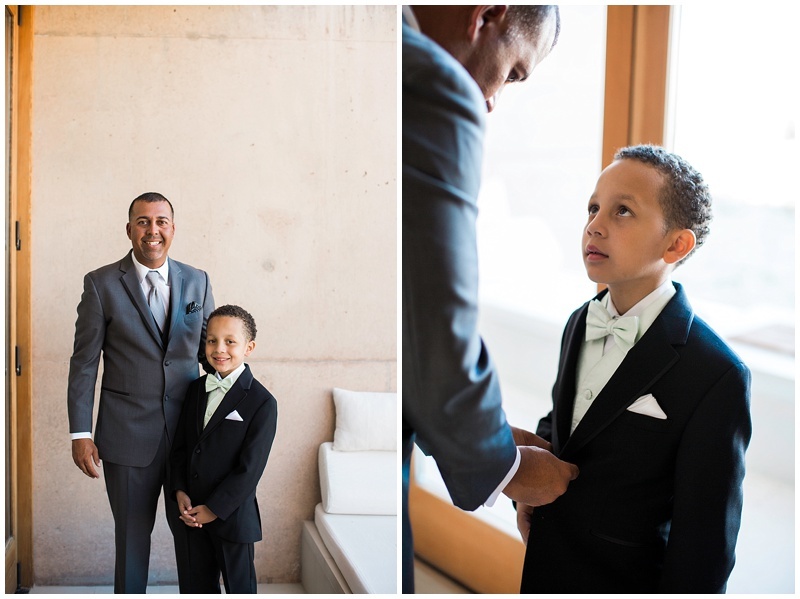 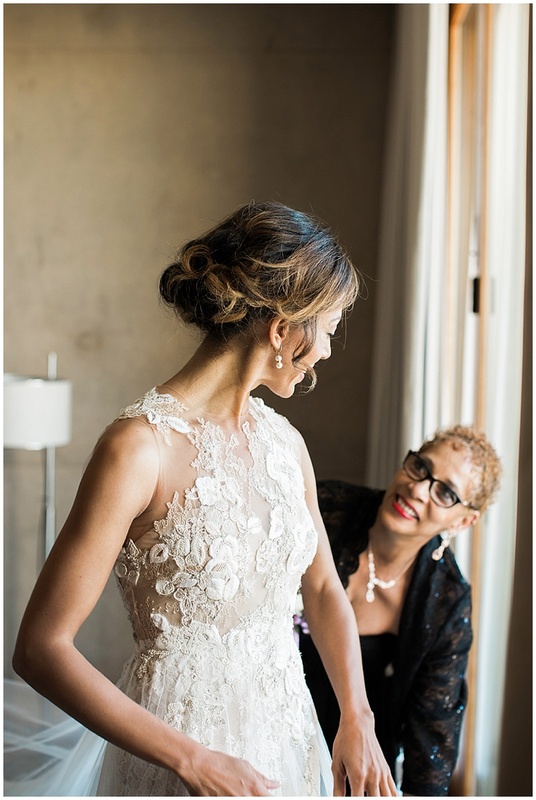 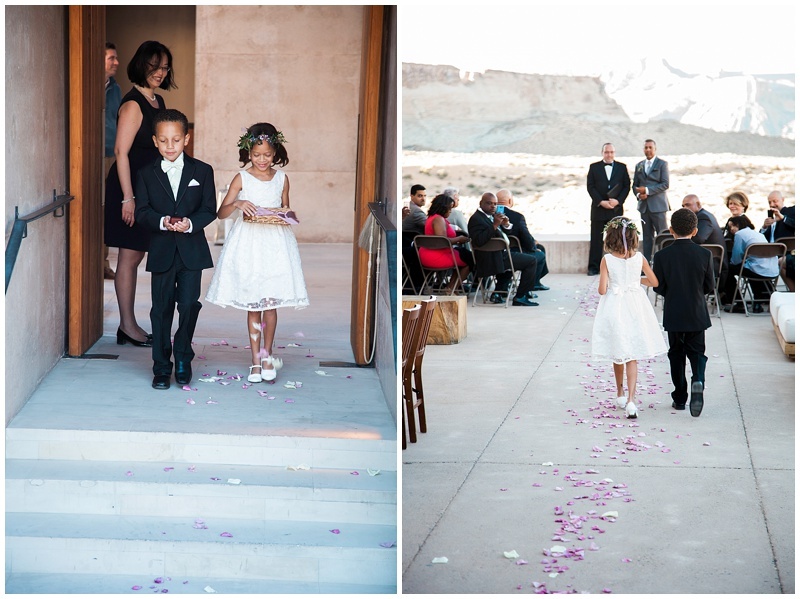 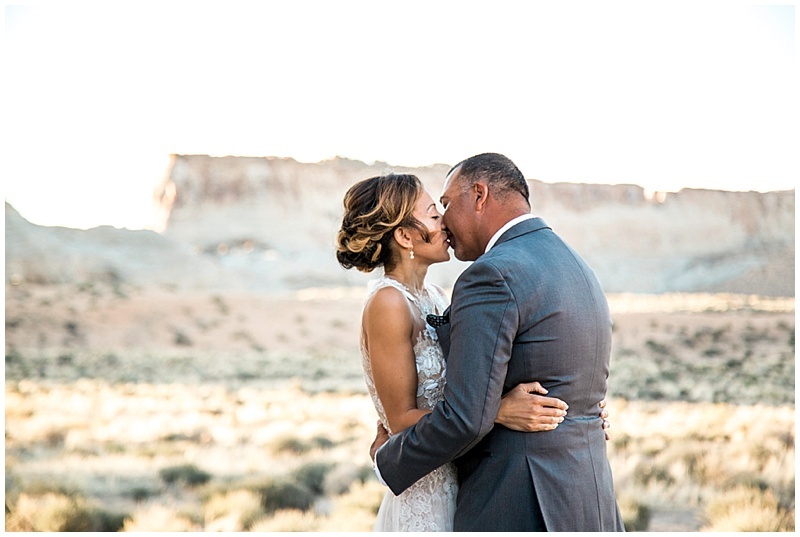 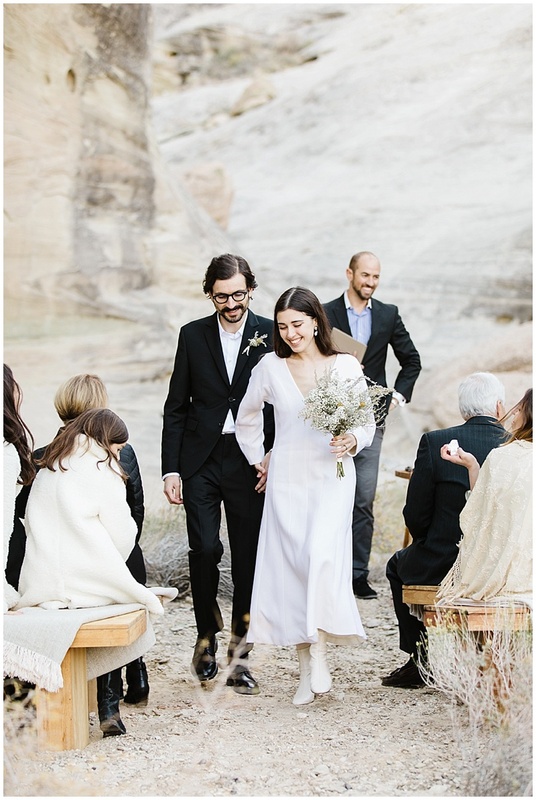 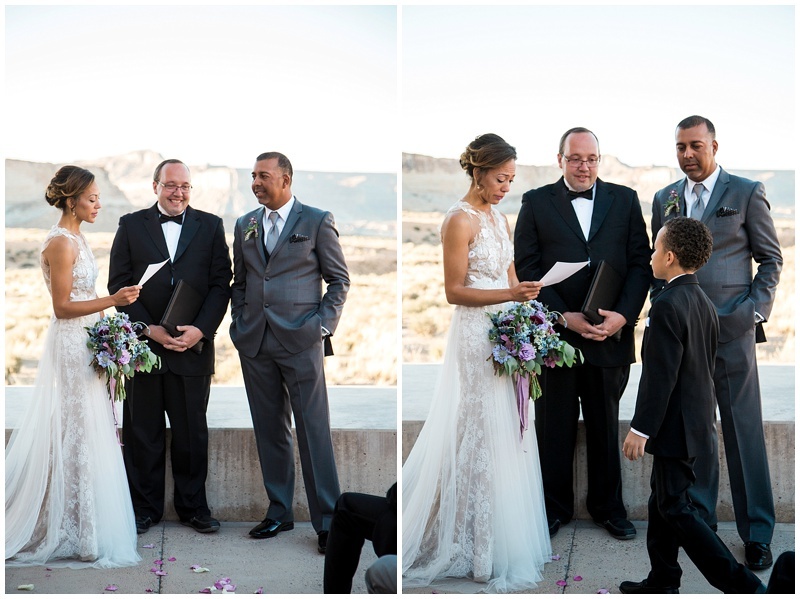 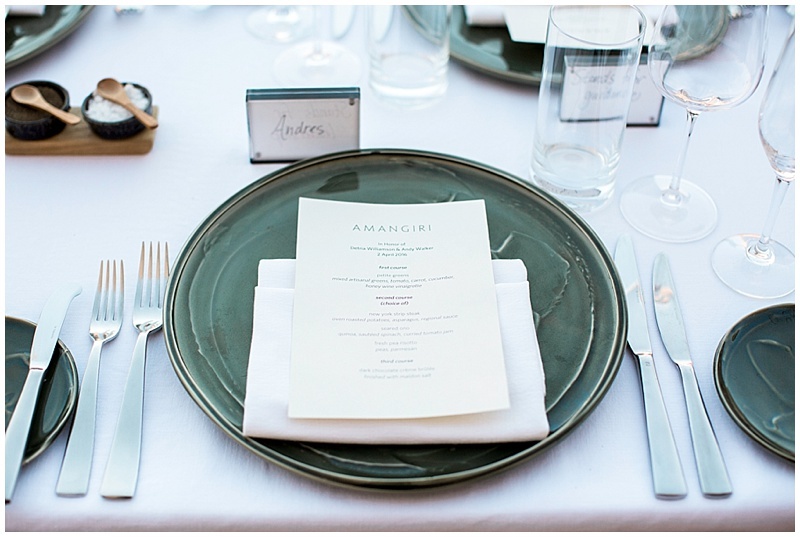 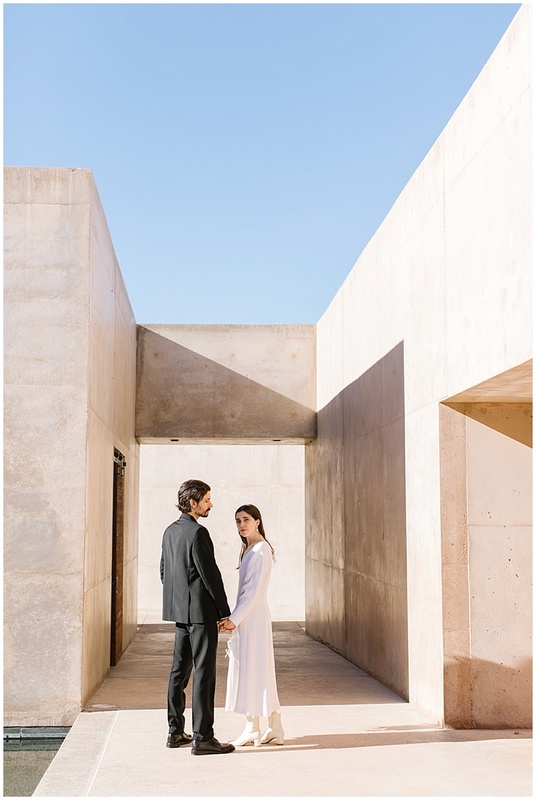 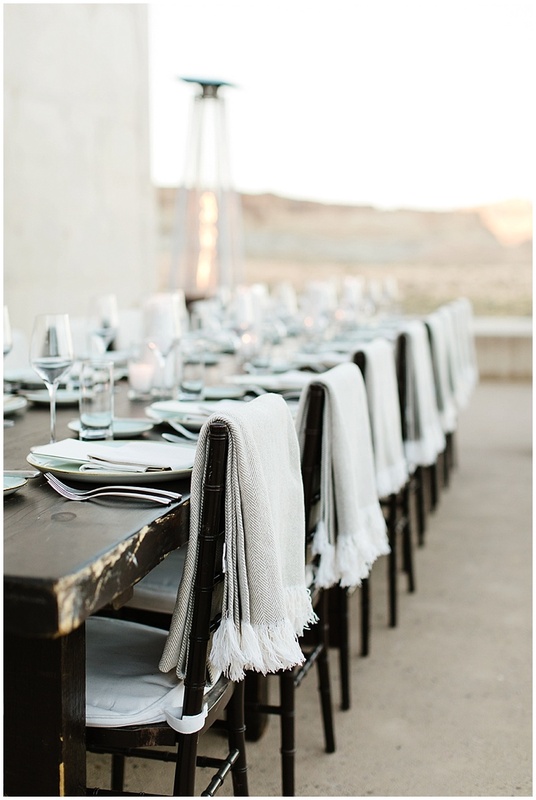 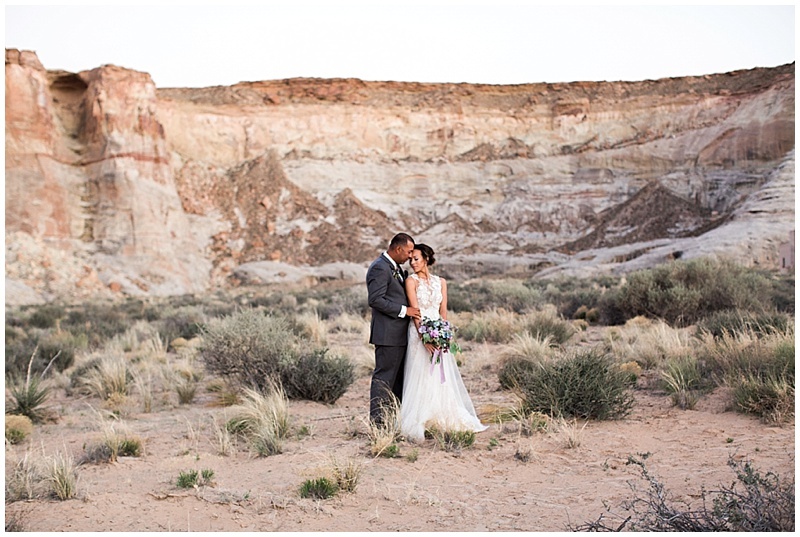 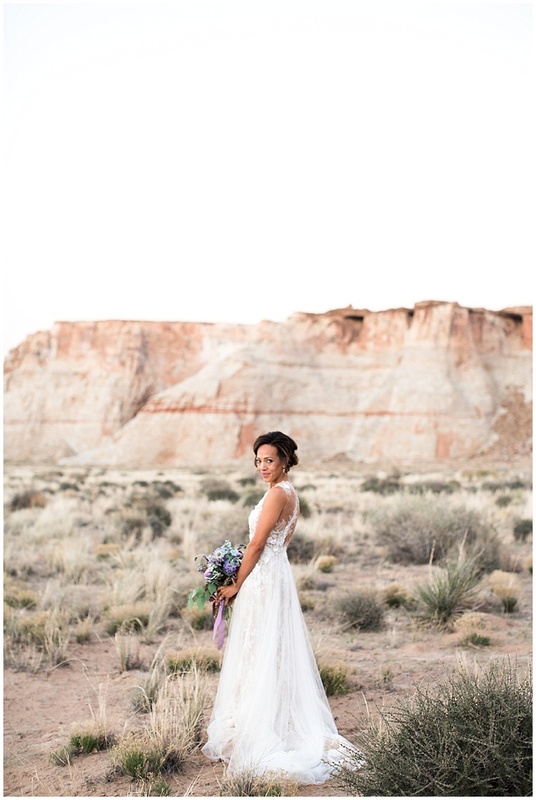 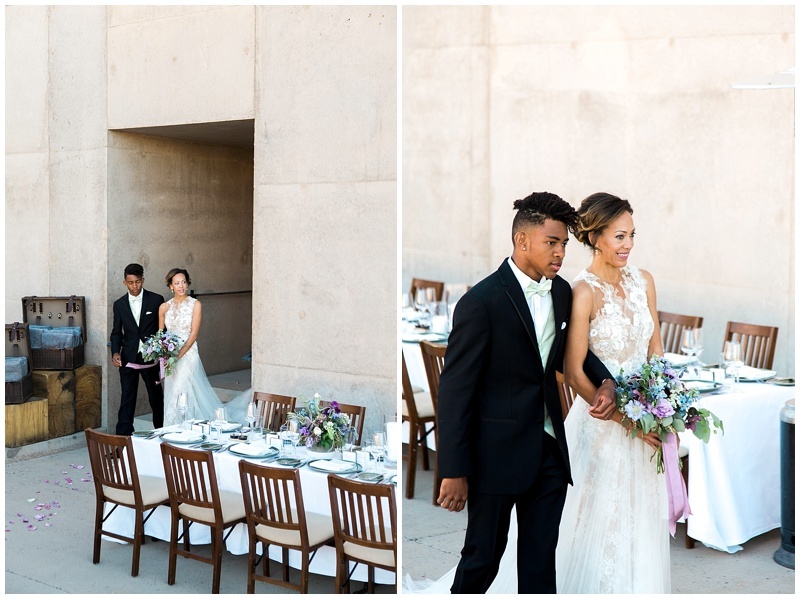 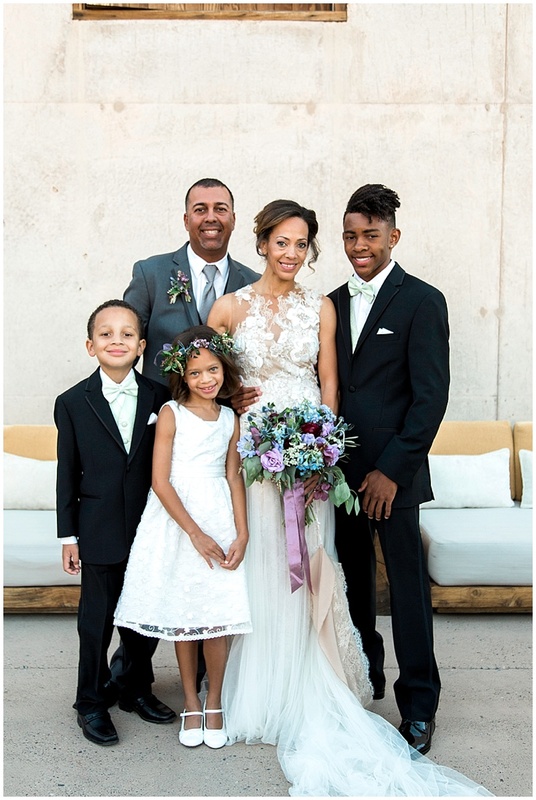 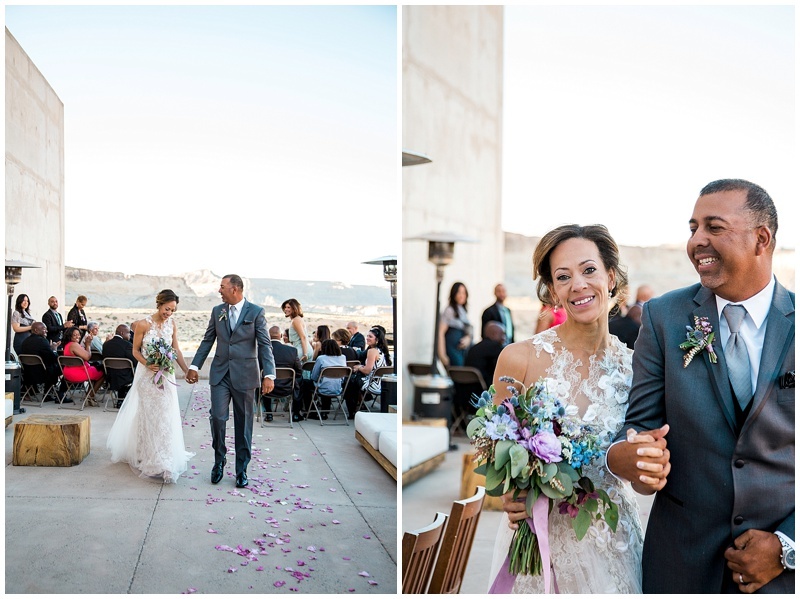 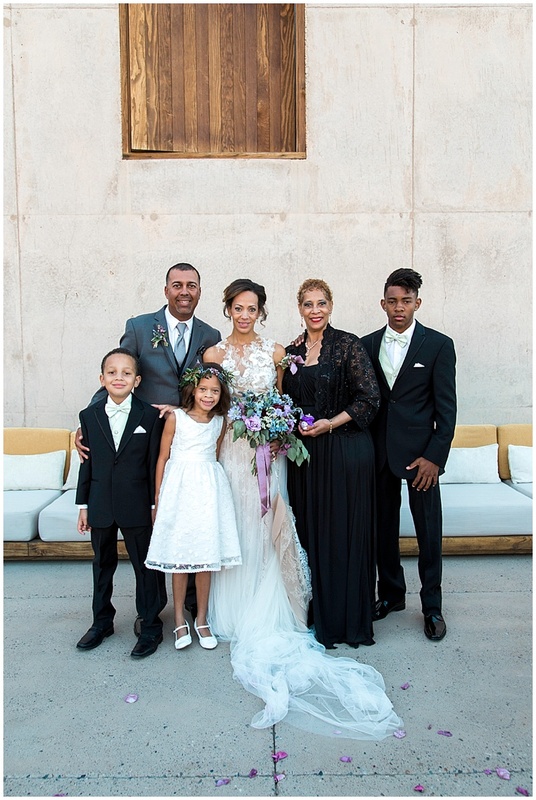 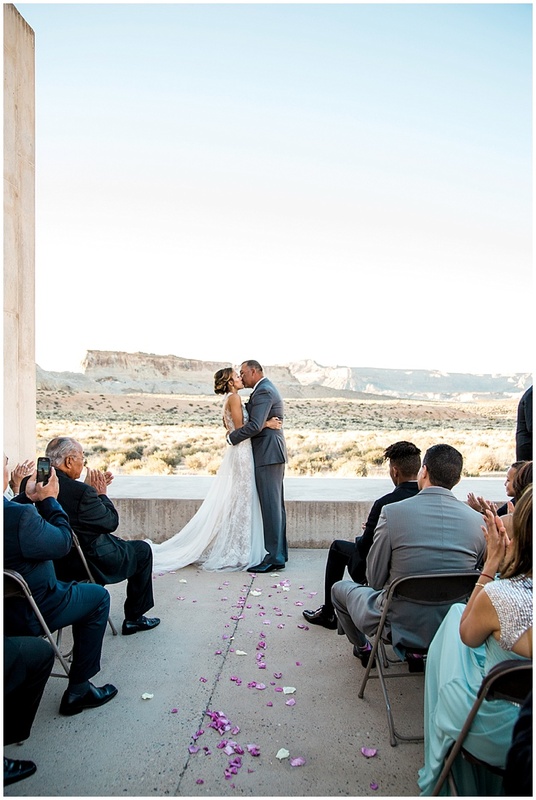 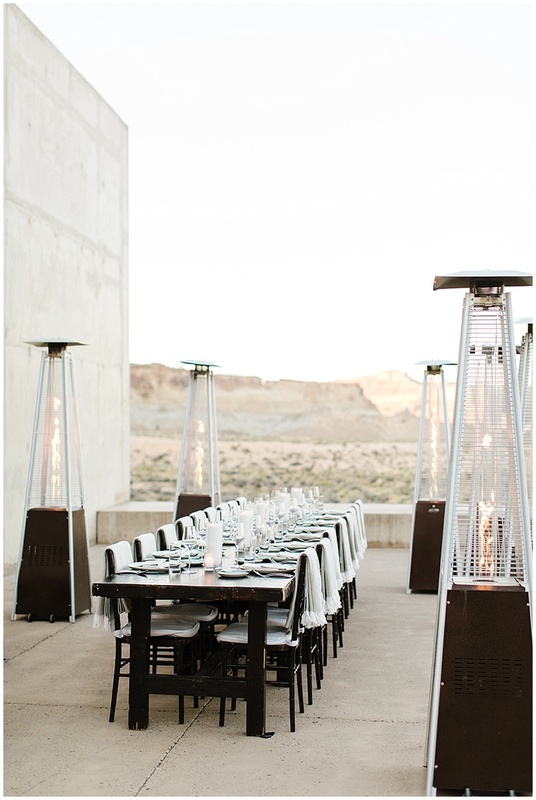 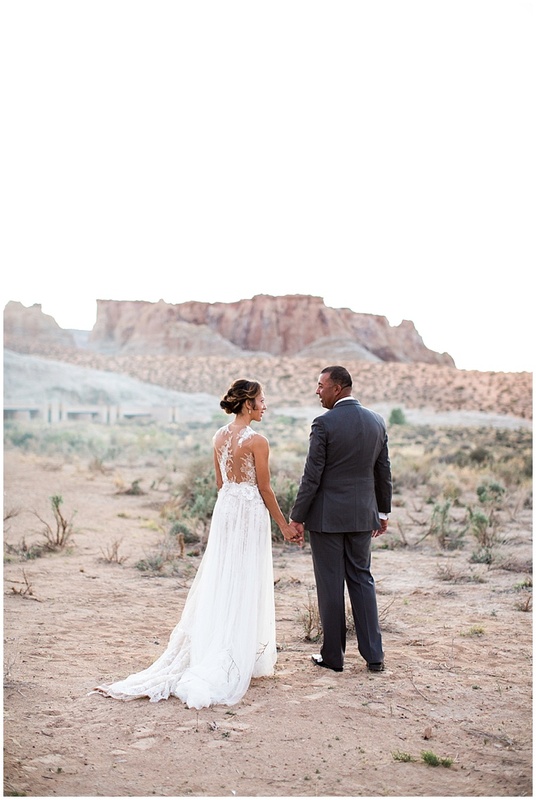 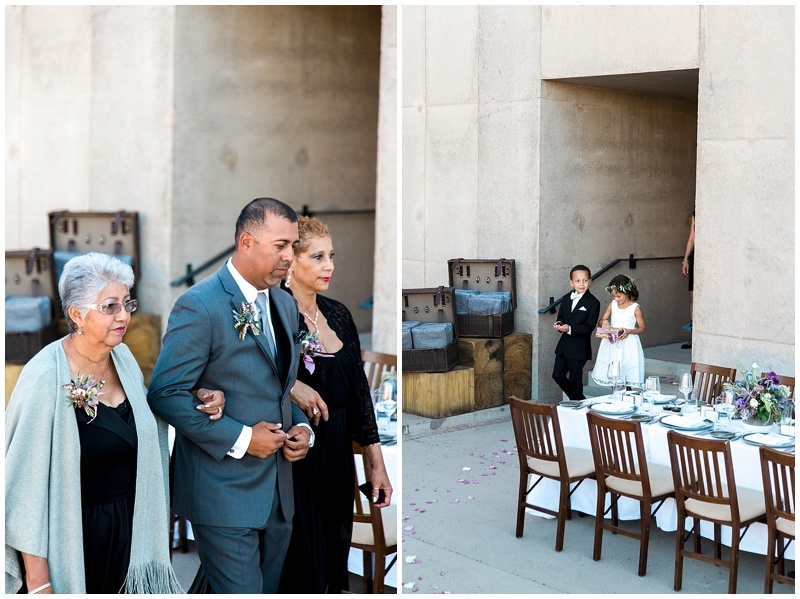 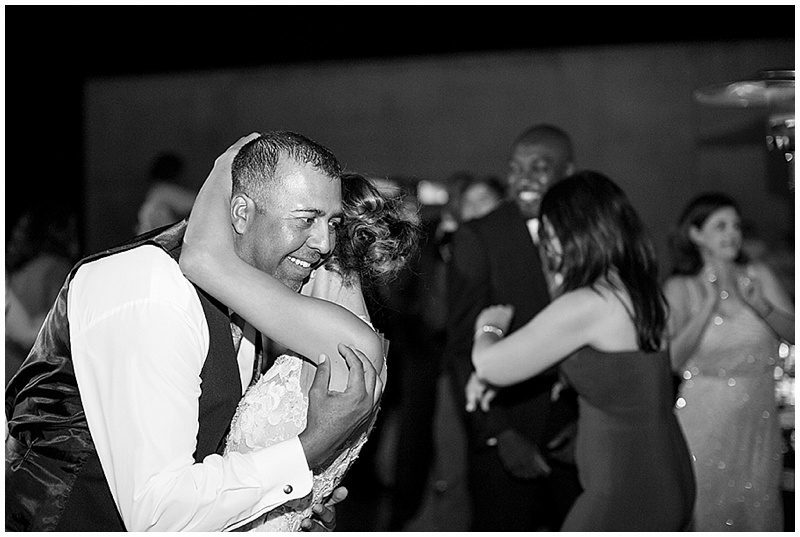 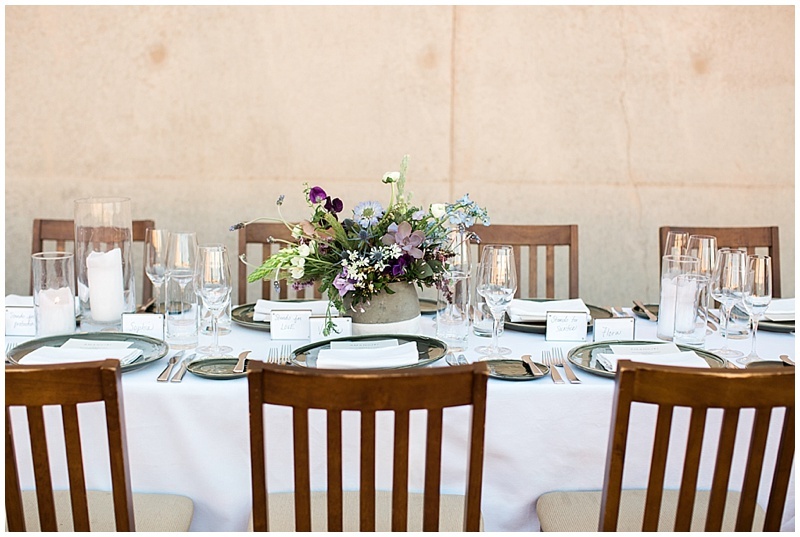 The Bride and Groom planned an intimate desert wedding with their family and closest friends at Amangiri an Aman Resort. 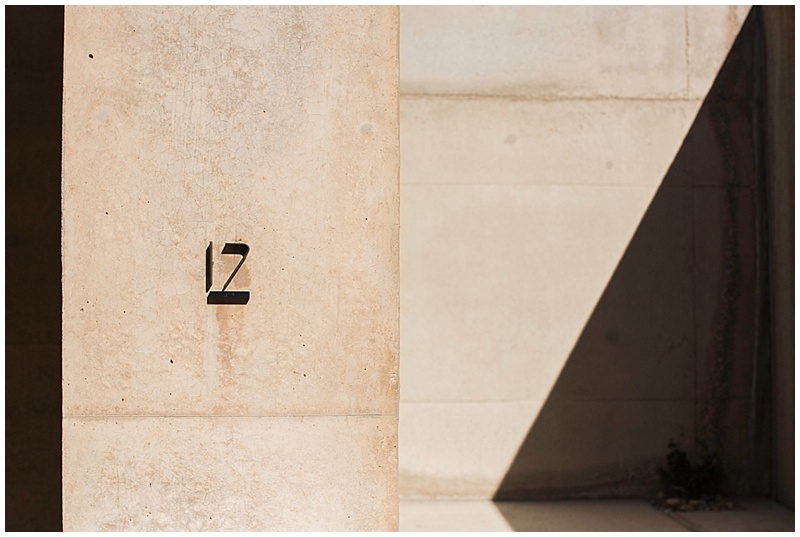 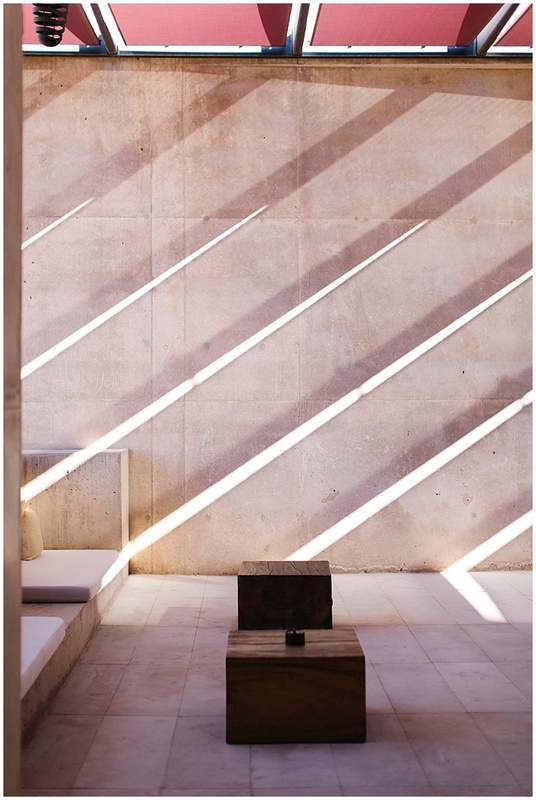 The architecture of Amangiri is so inspiring and unique, every part of the resort was planned around the existing landscape. 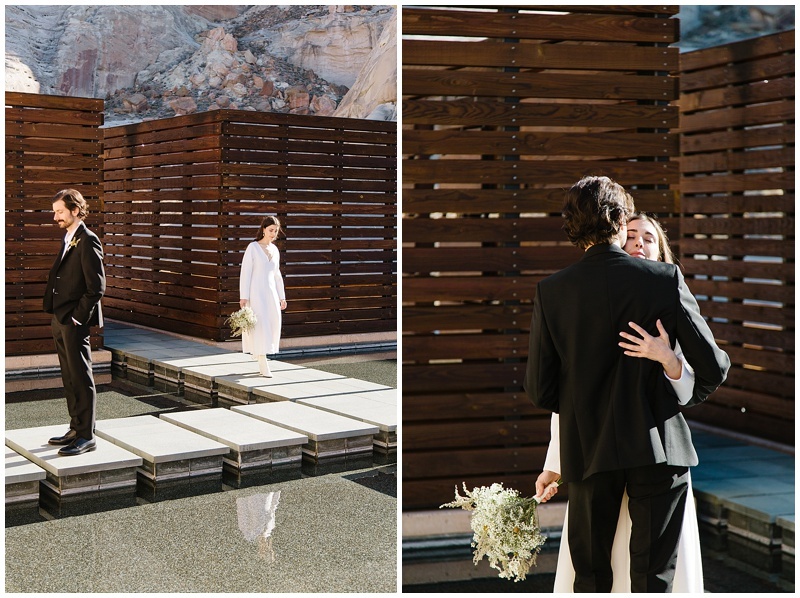 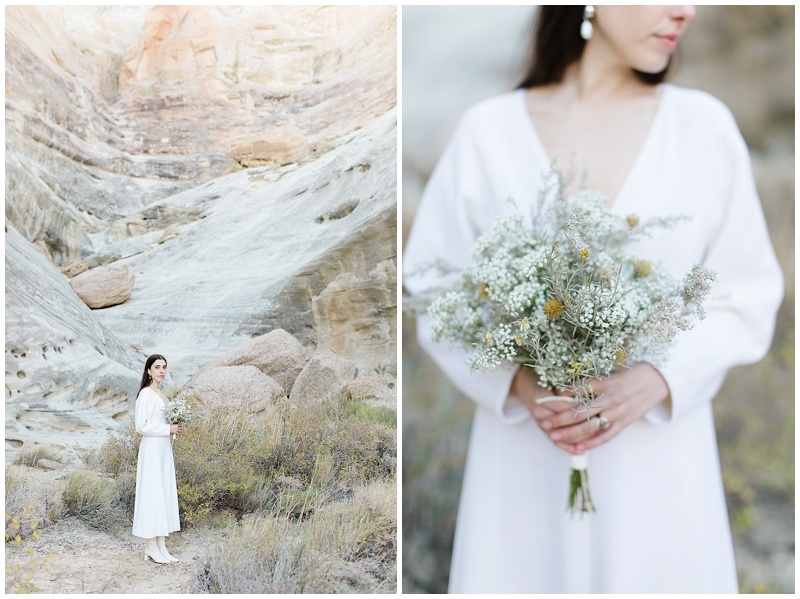 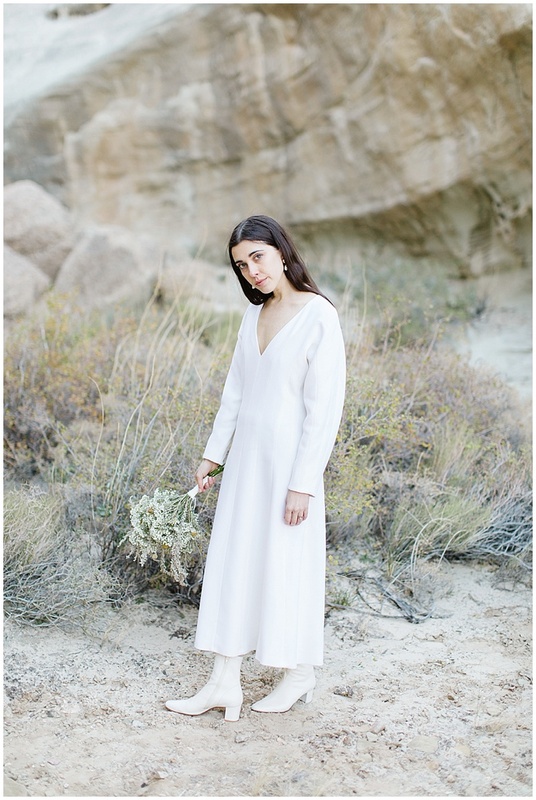 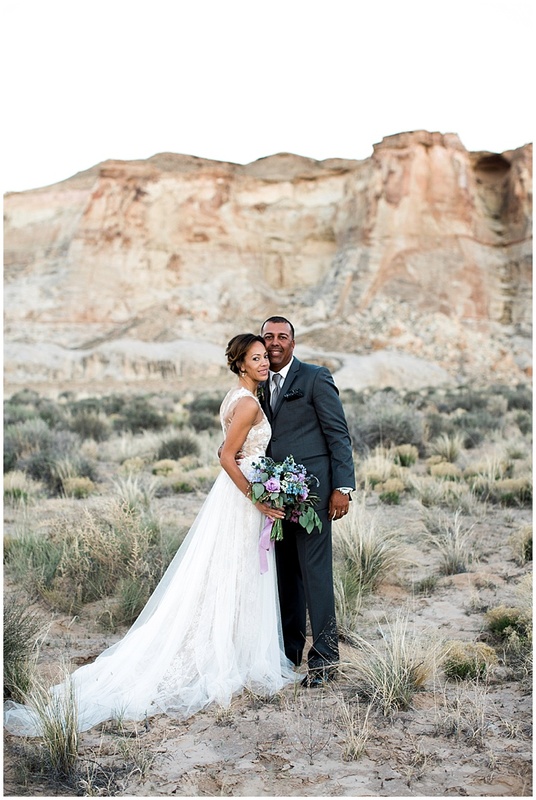 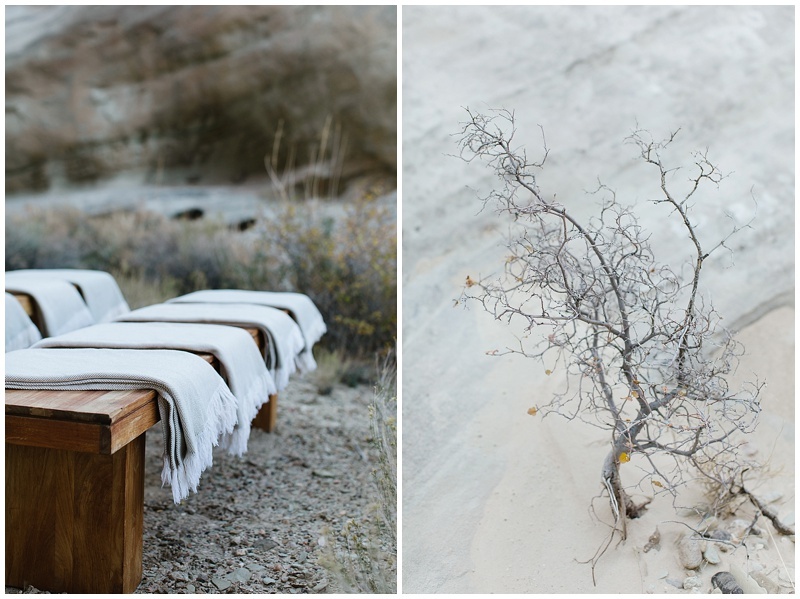 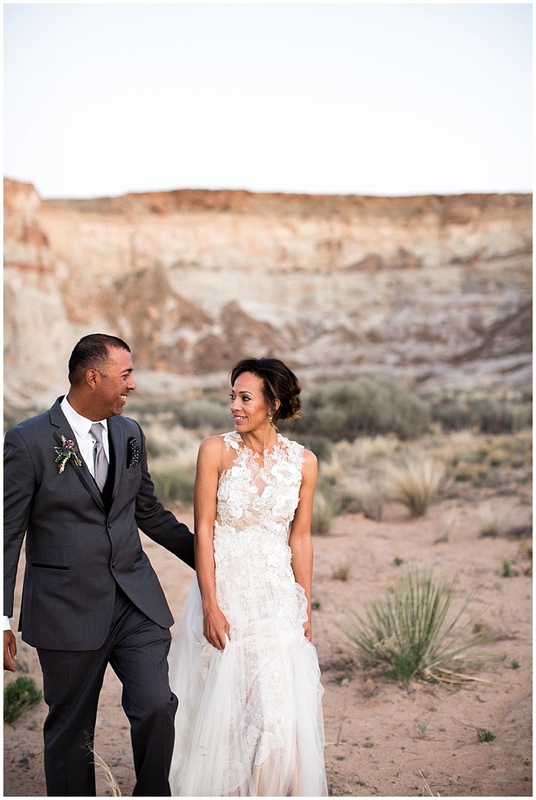 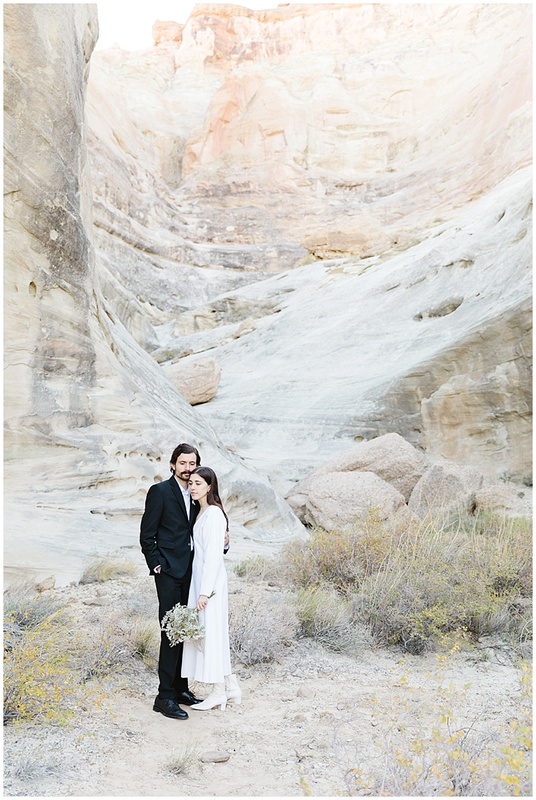 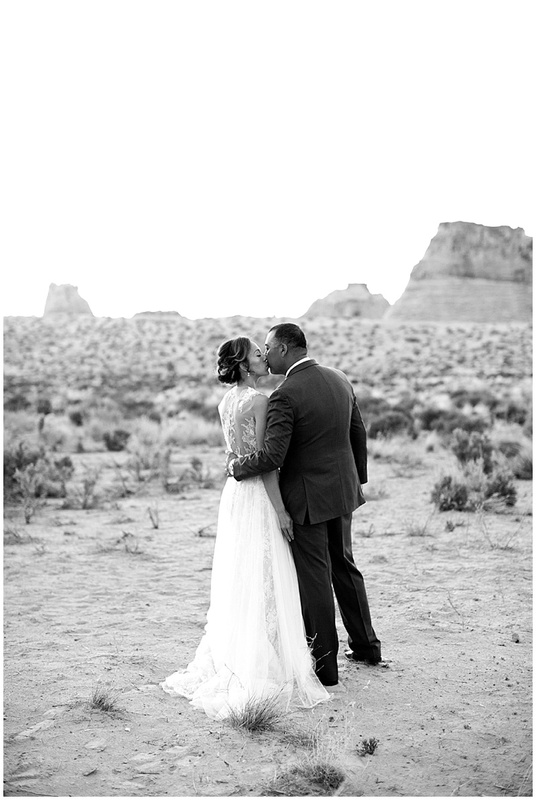 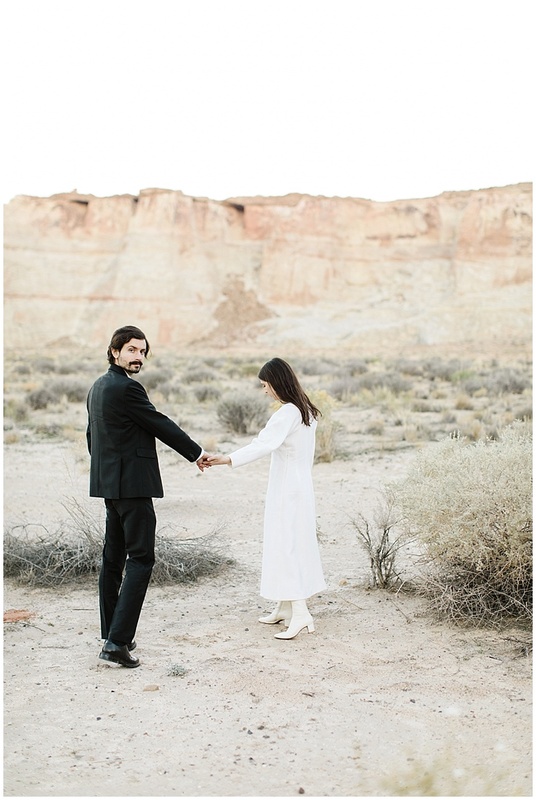 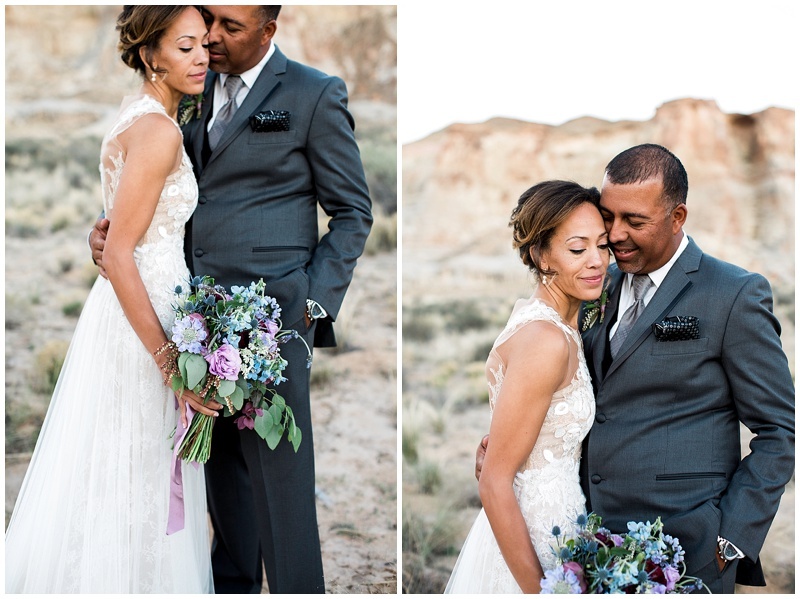 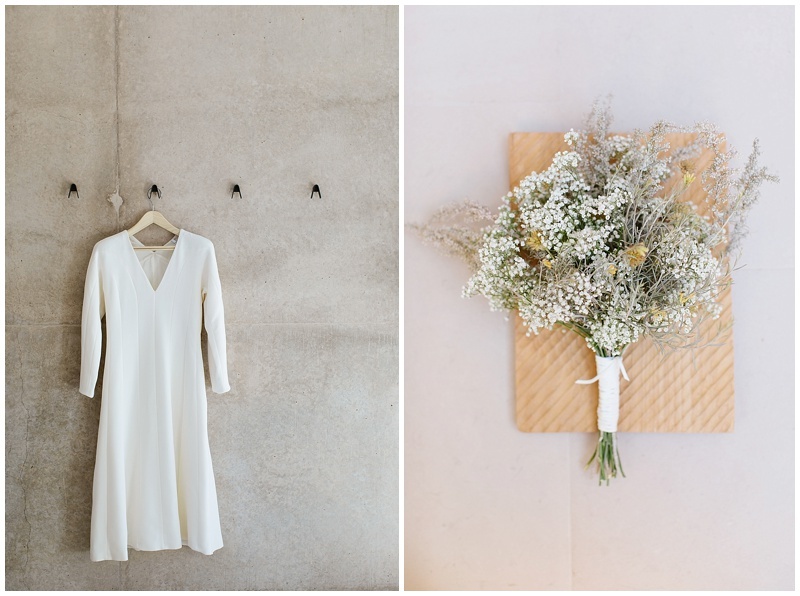 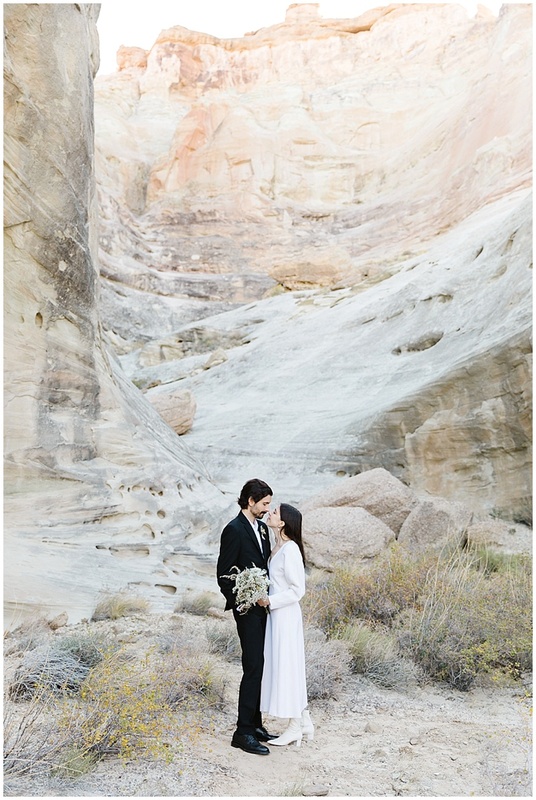 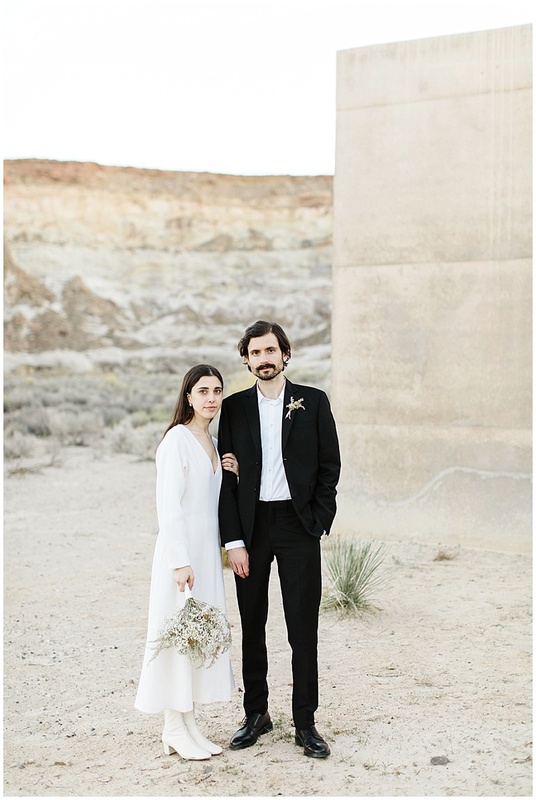 For their wedding theme they were inspired by the desert, and stayed with neutral colors to not take away from the stunning location. 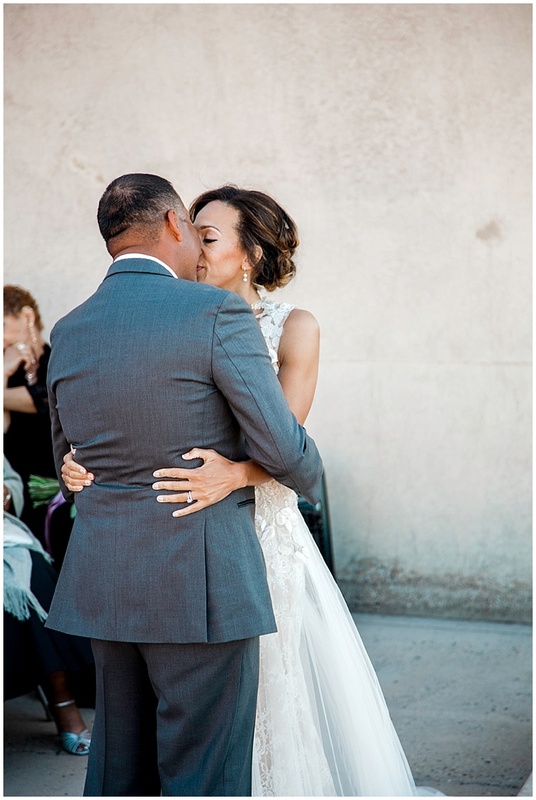 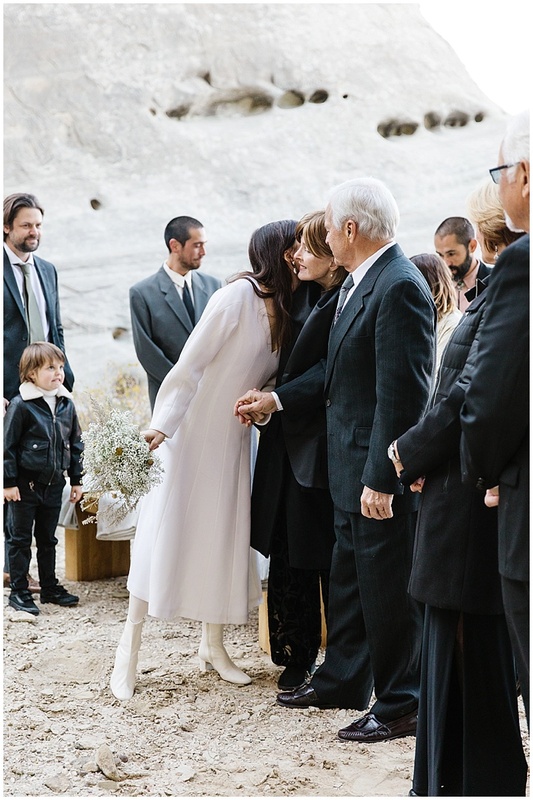 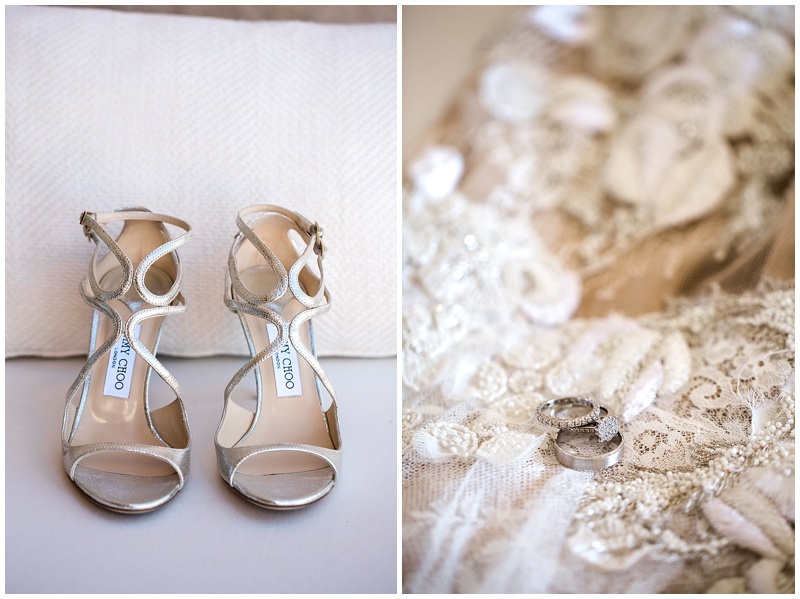 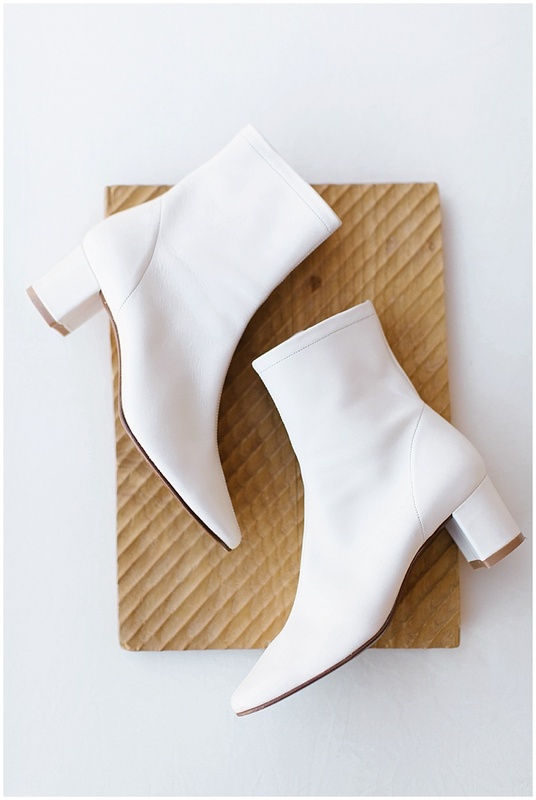 Her wedding dress was a custom made design by Christina Desmet in New York City, her boots went perfectly with the length of her wedding dress. 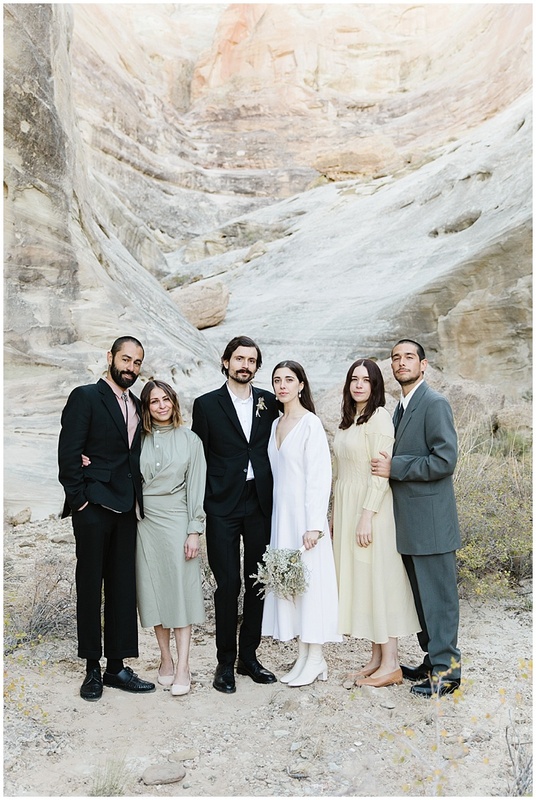 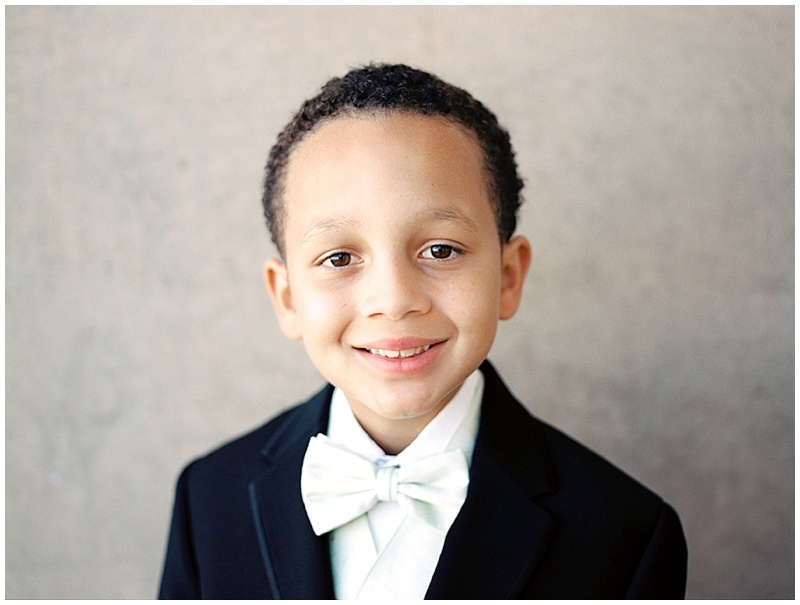 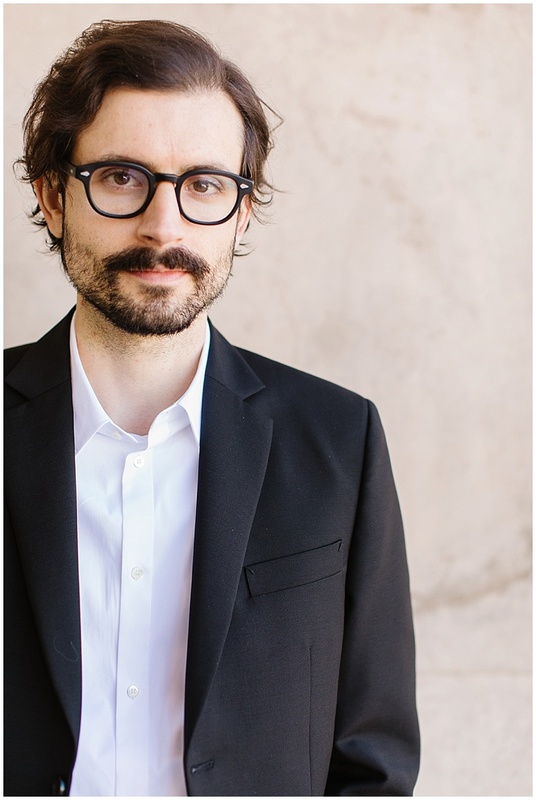 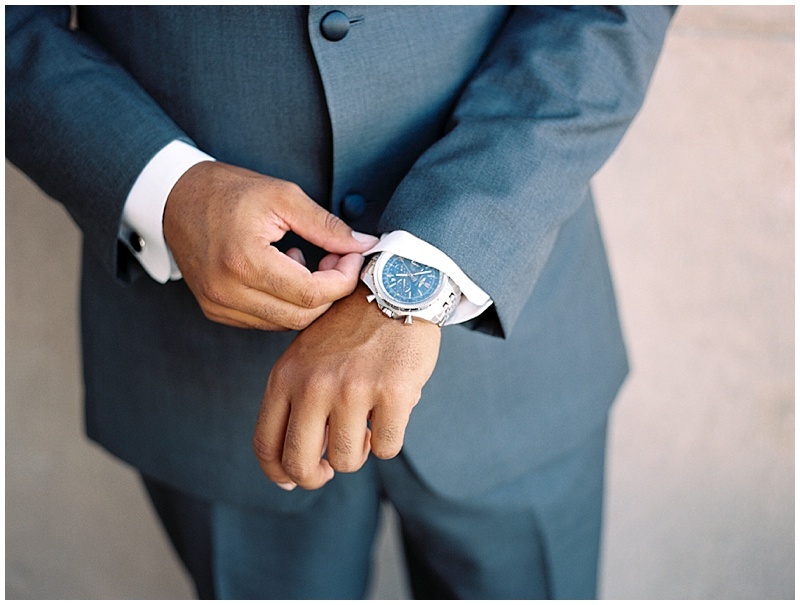 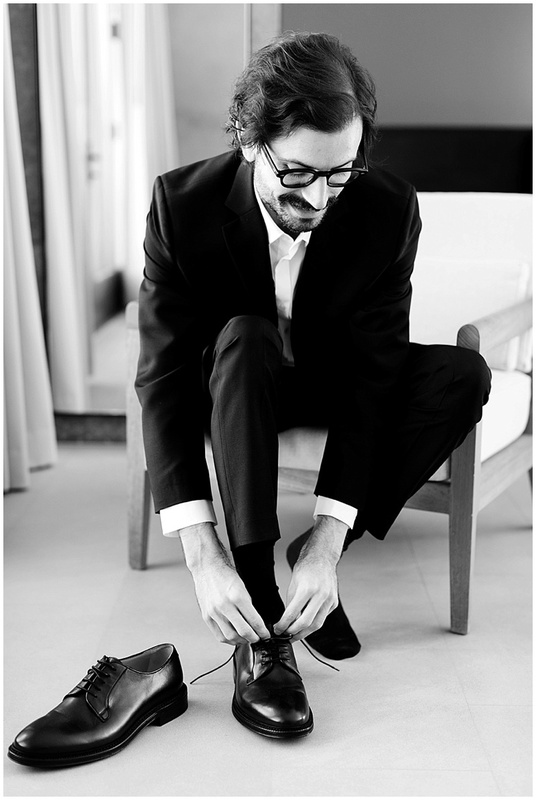 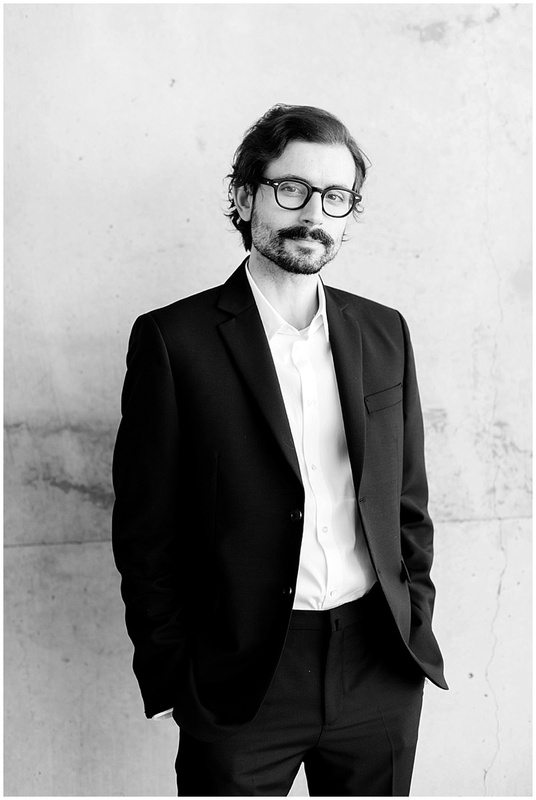 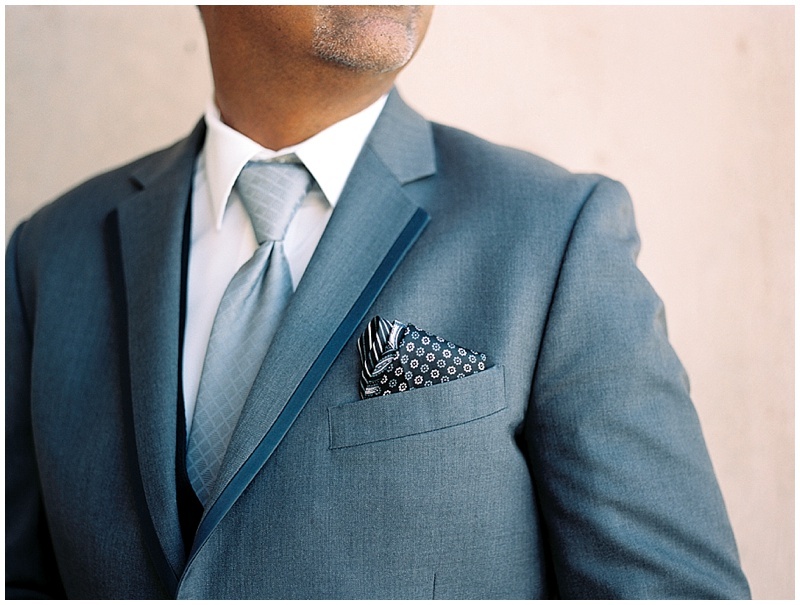 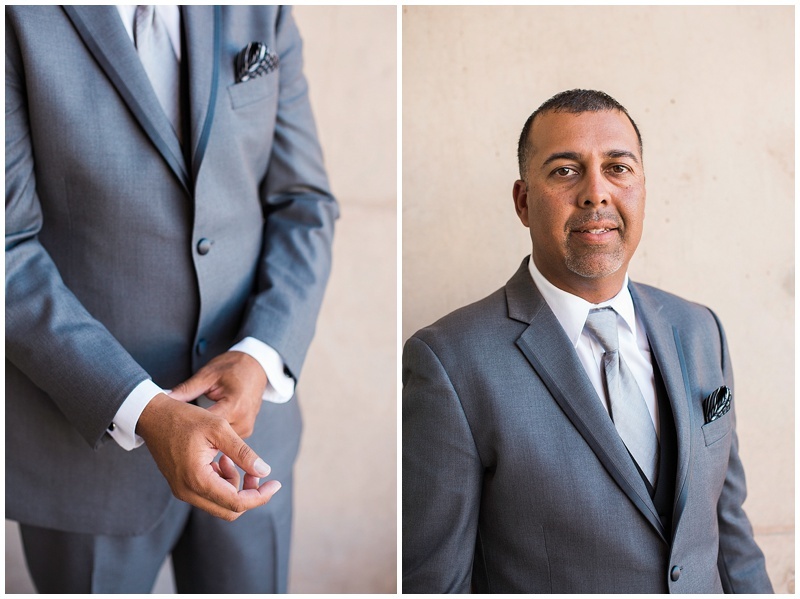 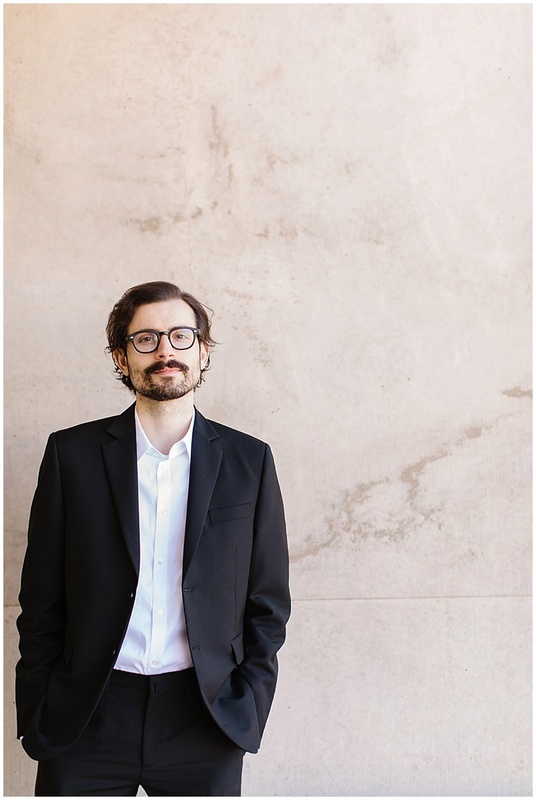 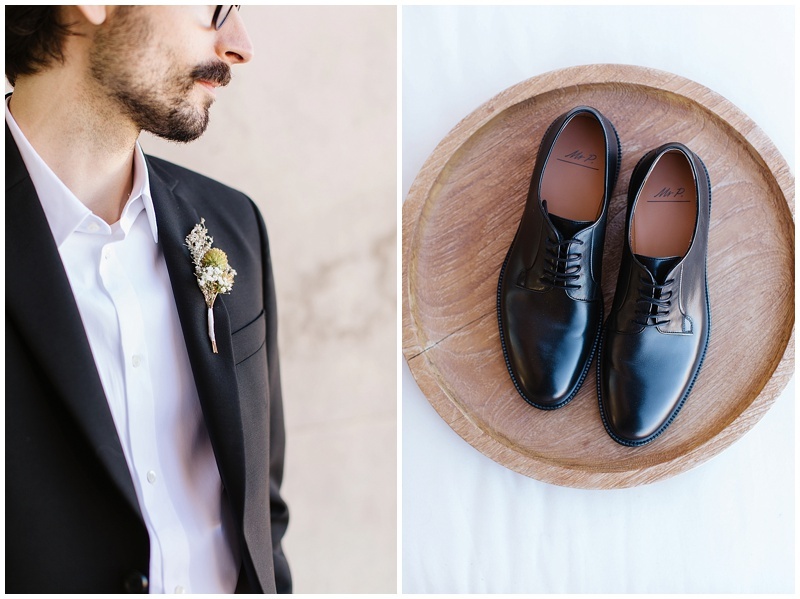 The grooms classic suit is from Acne. 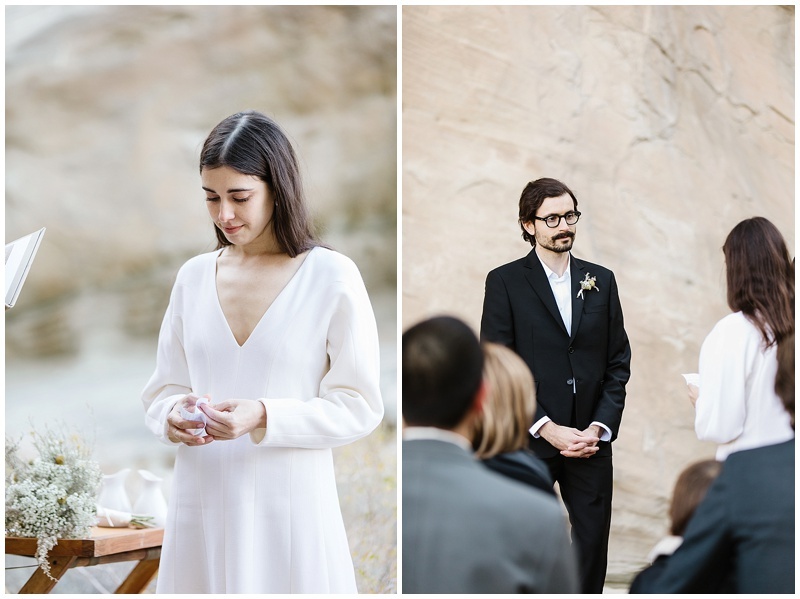 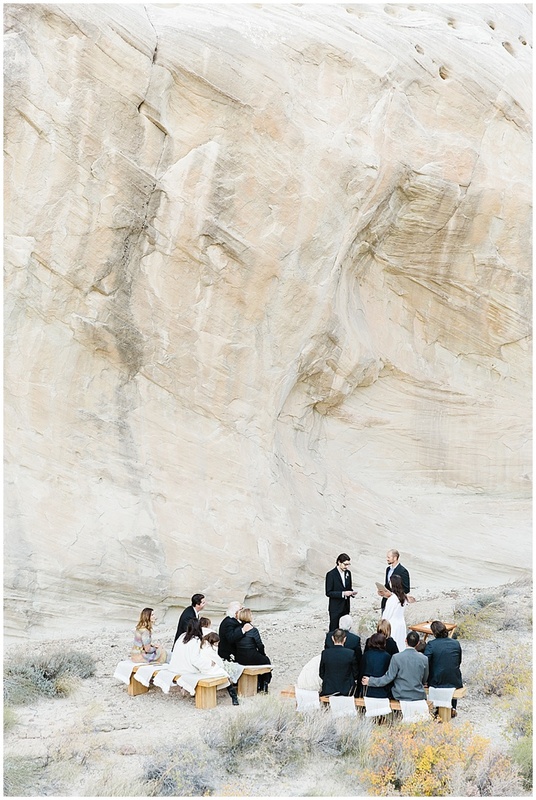 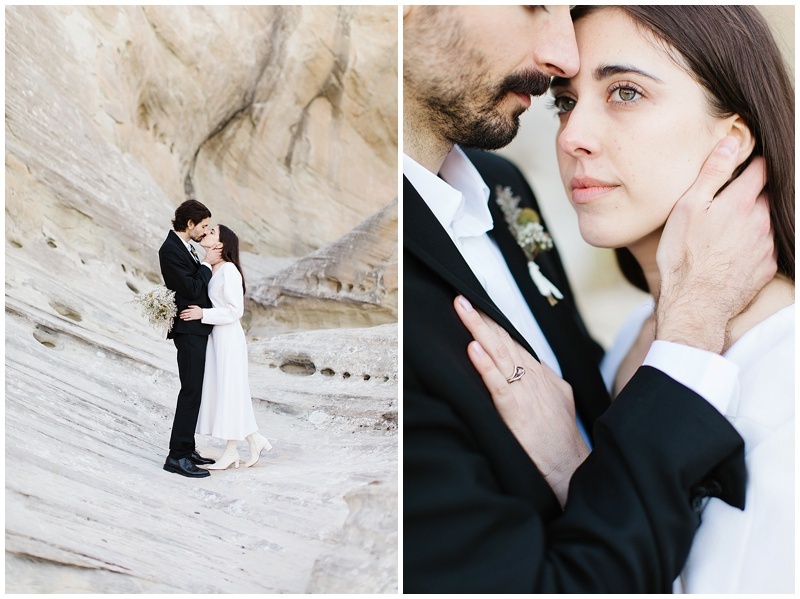 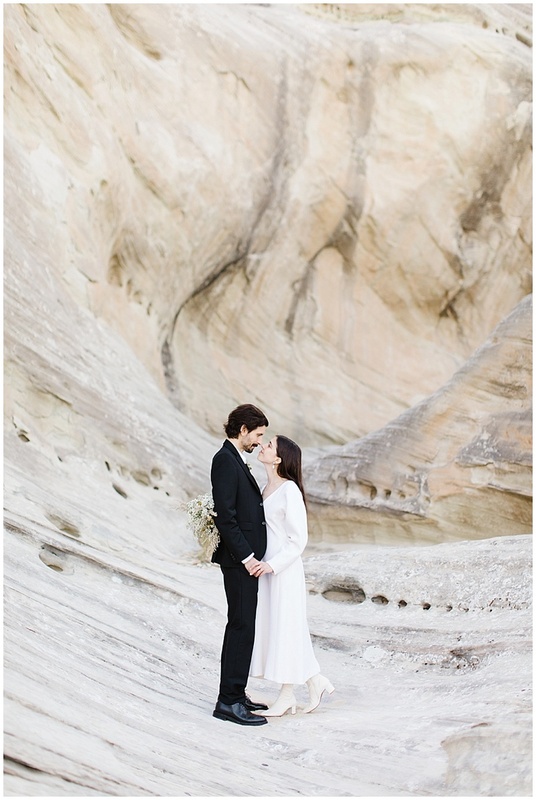 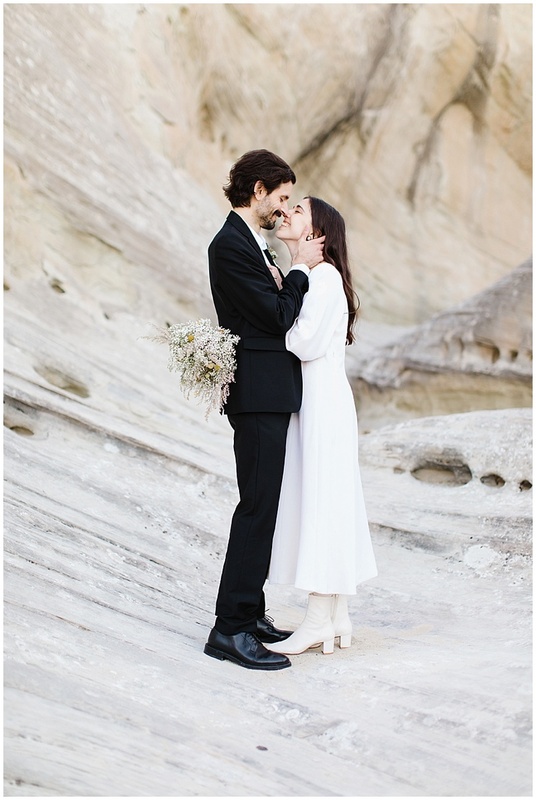 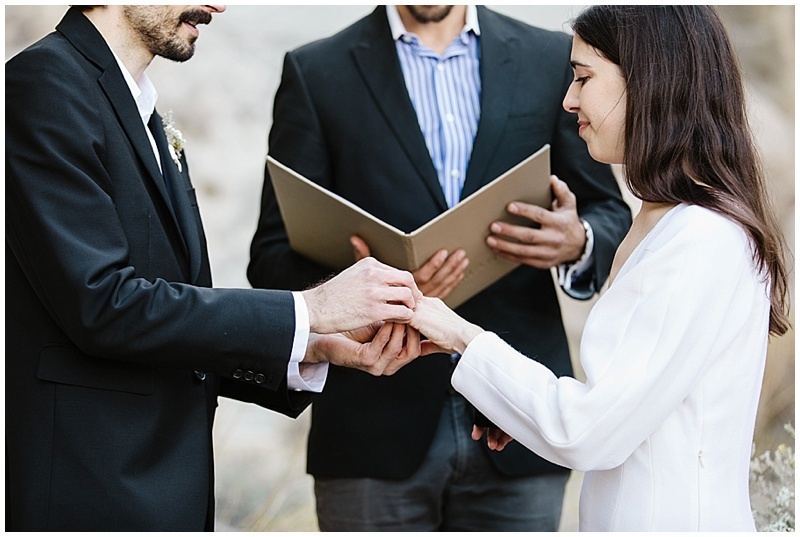 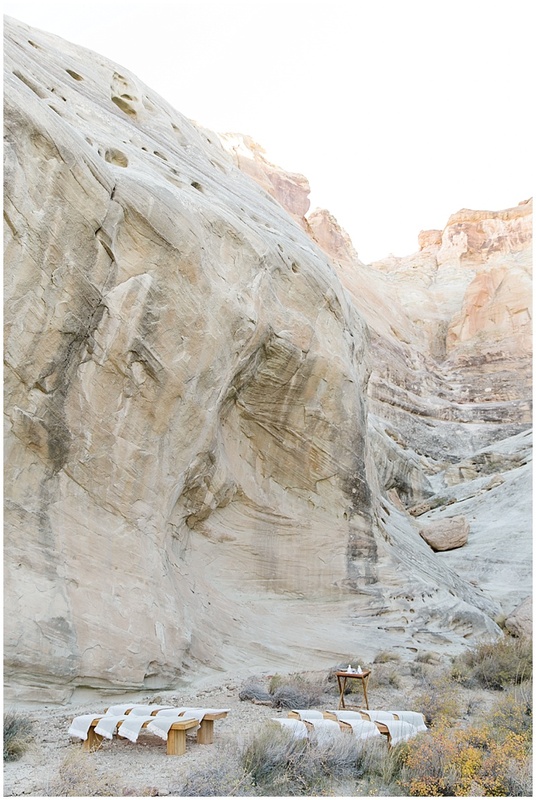 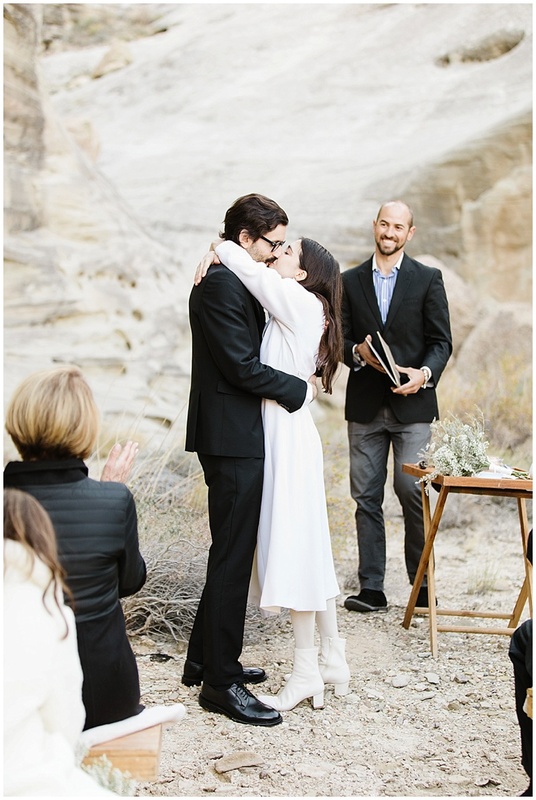 Their ceremony took place in a peaceful little rock canyon. 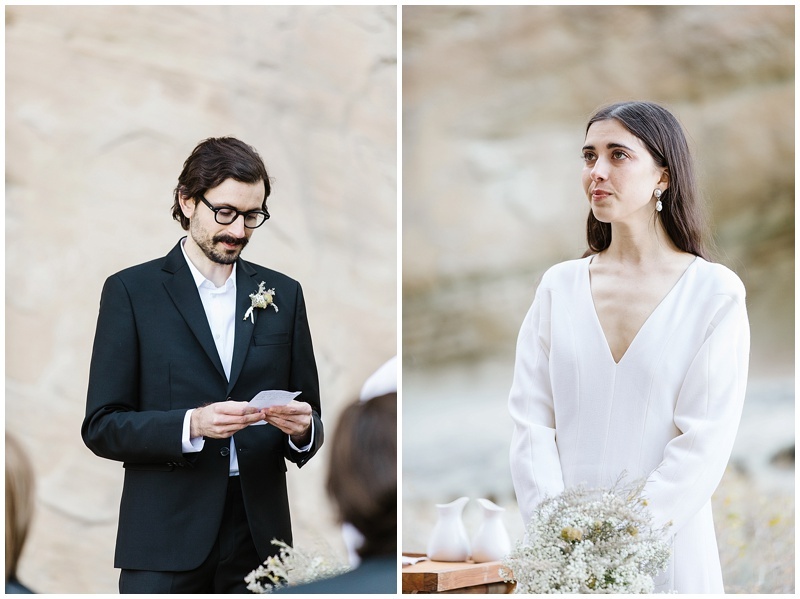 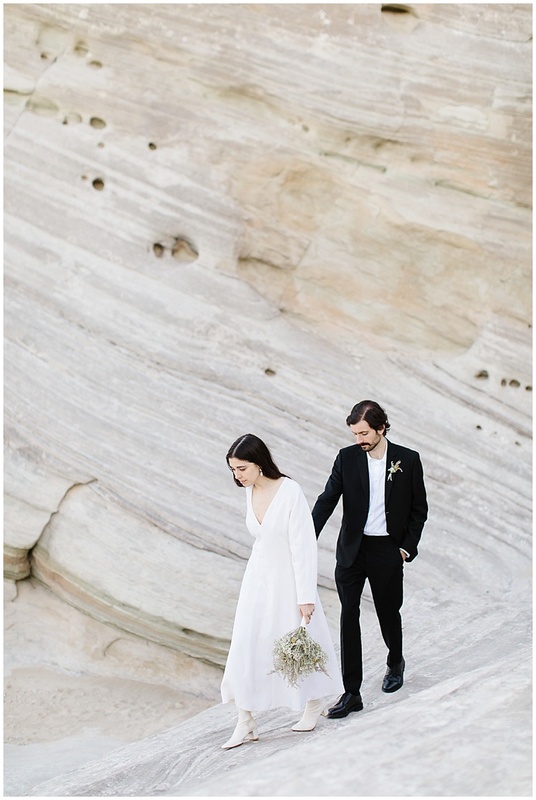 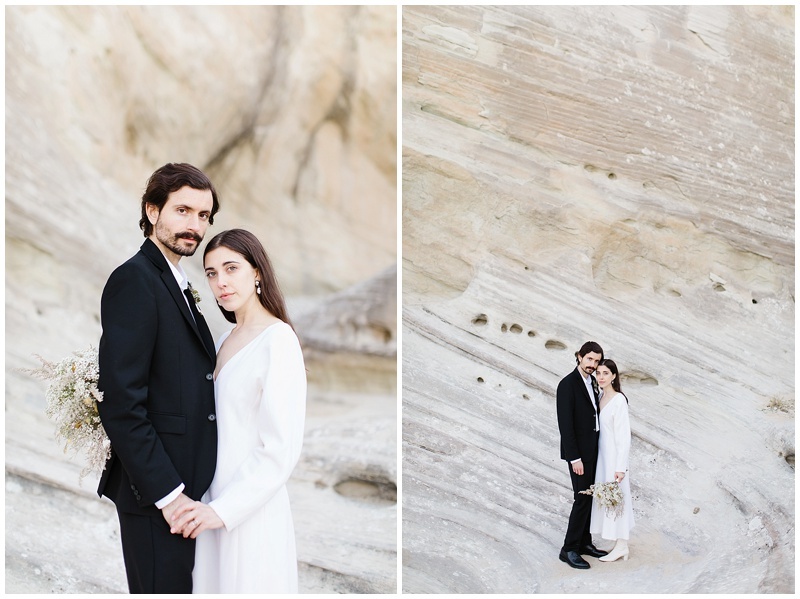 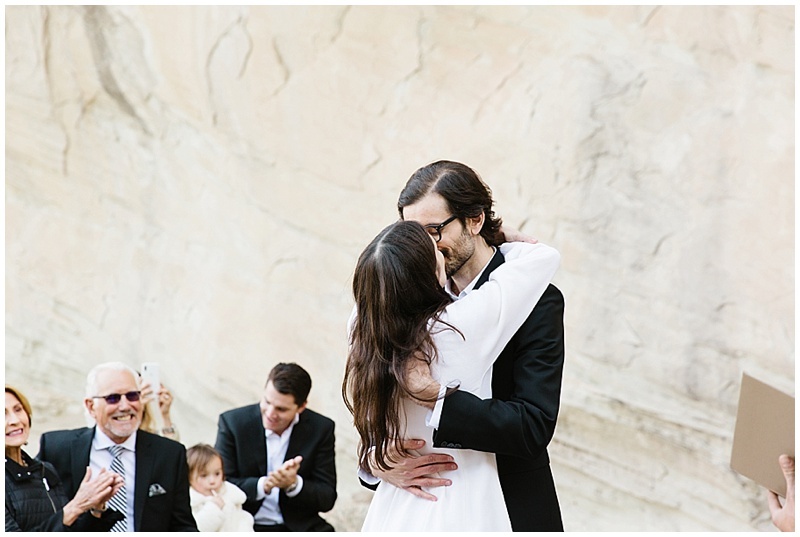 We were enclosed by large rock walls with a beautiful view of the cliffs behind the ceremony. 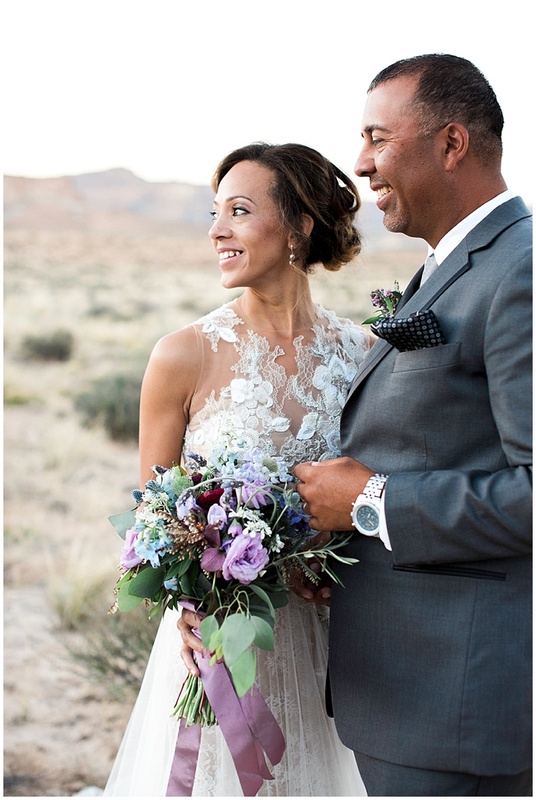 There wedding took place in November and there were still a few signs of fall on some of the bushes, which created such a beautiful color palette. 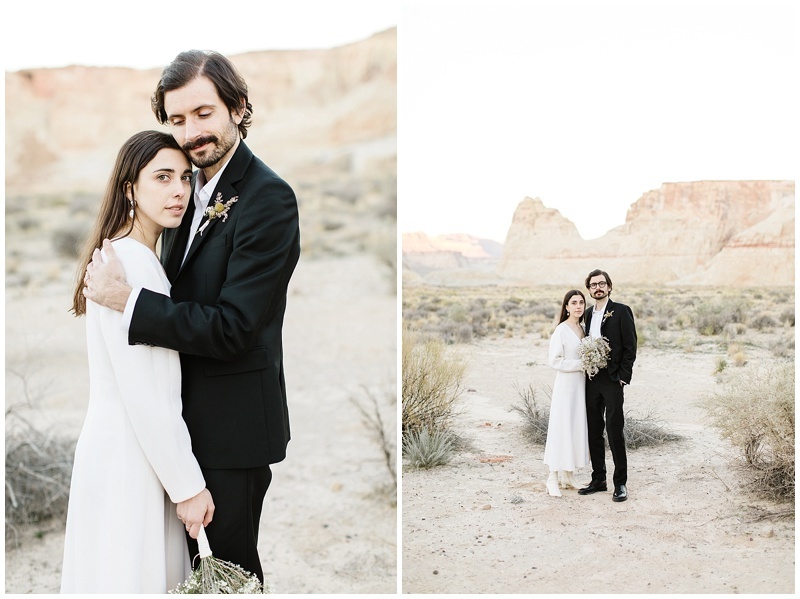 After their ceremony we were able to explore around the property for their portraits, and we chased the light as we made our way back to the resort. 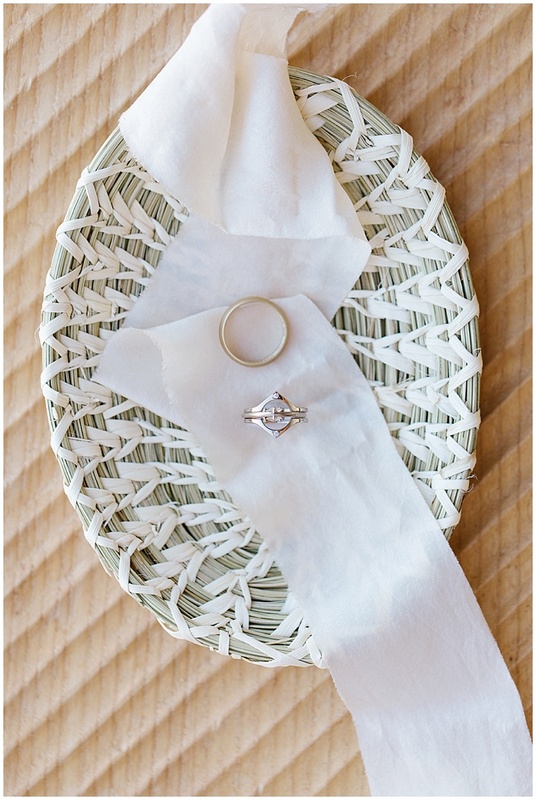 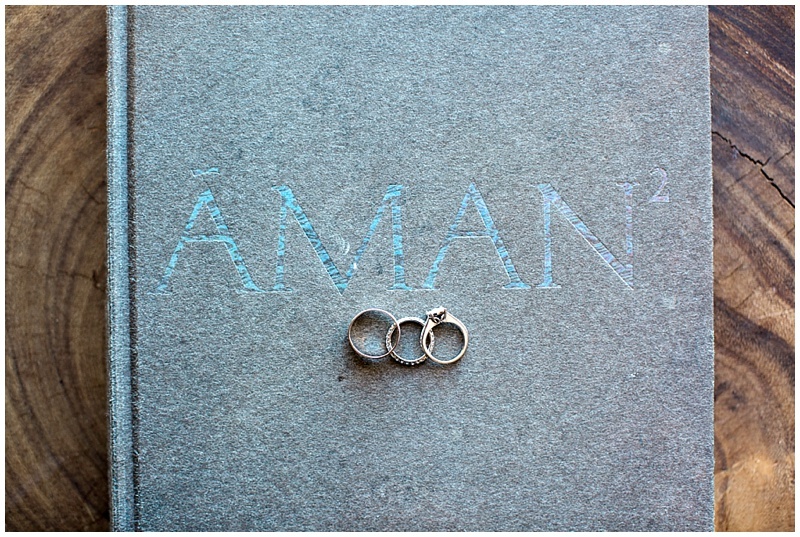 One of my favorite details from their wedding was her wedding ring, she helped custom design it and it was 3D printed by Bliss Lau. 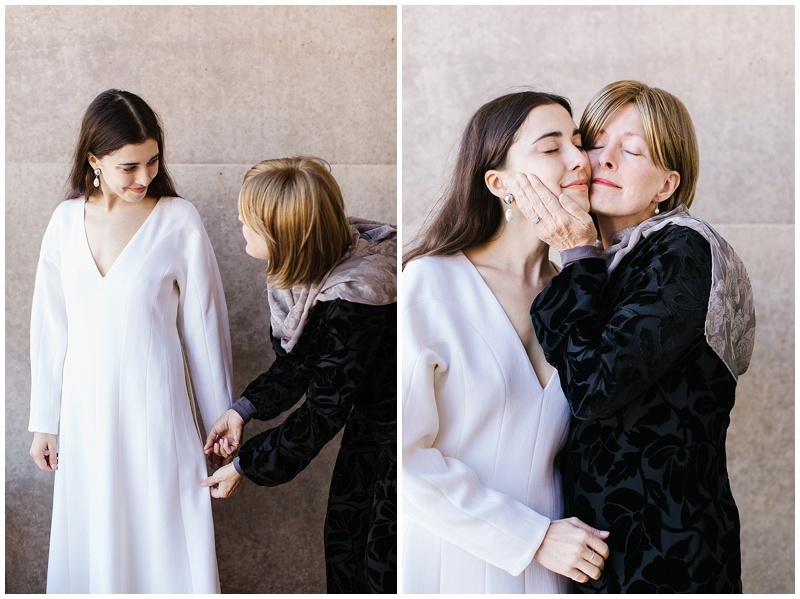 I couldn’t even believe it when she told me how it was created. 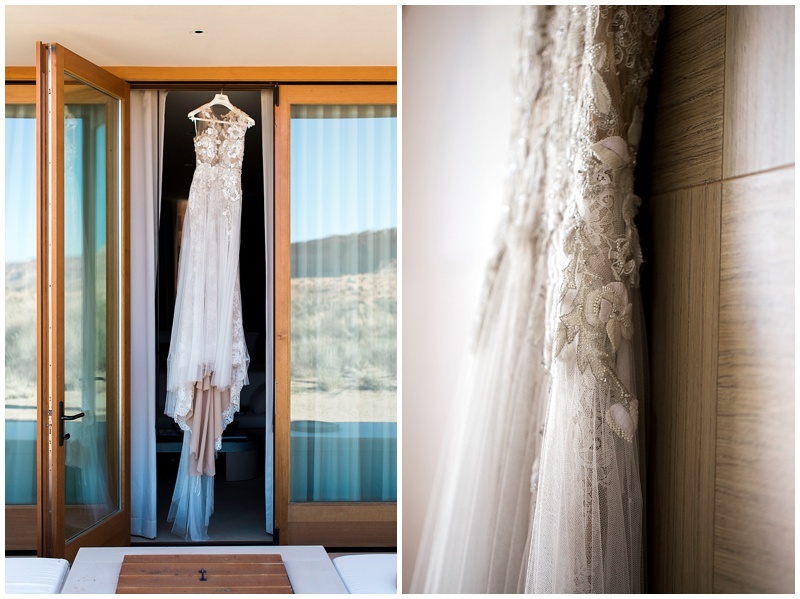 It was so intricate and delicate. 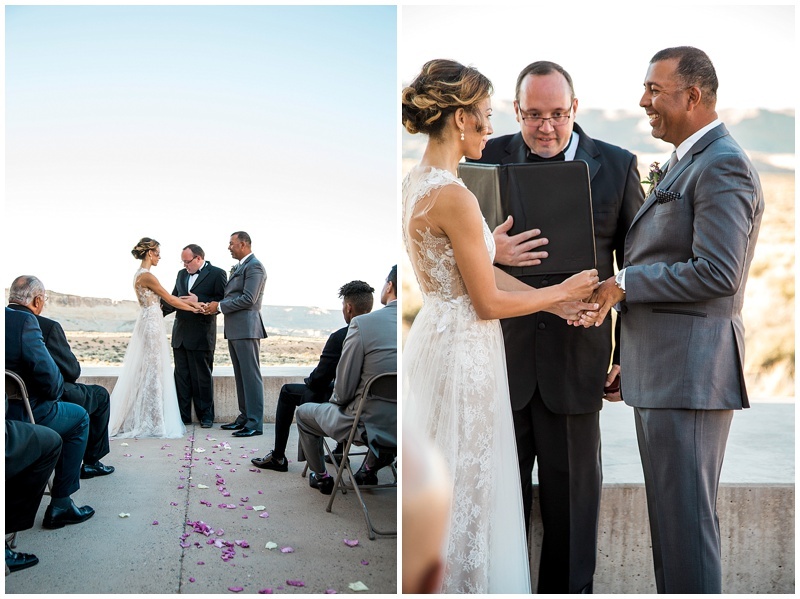 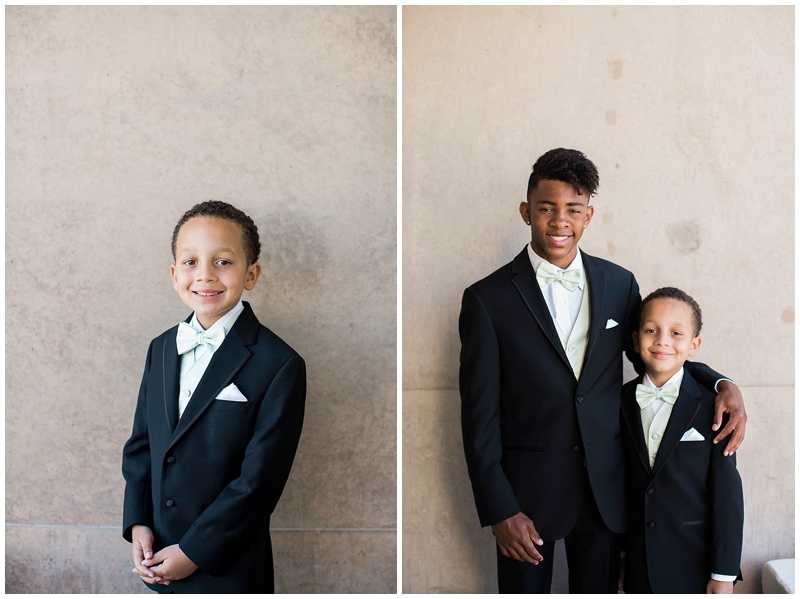 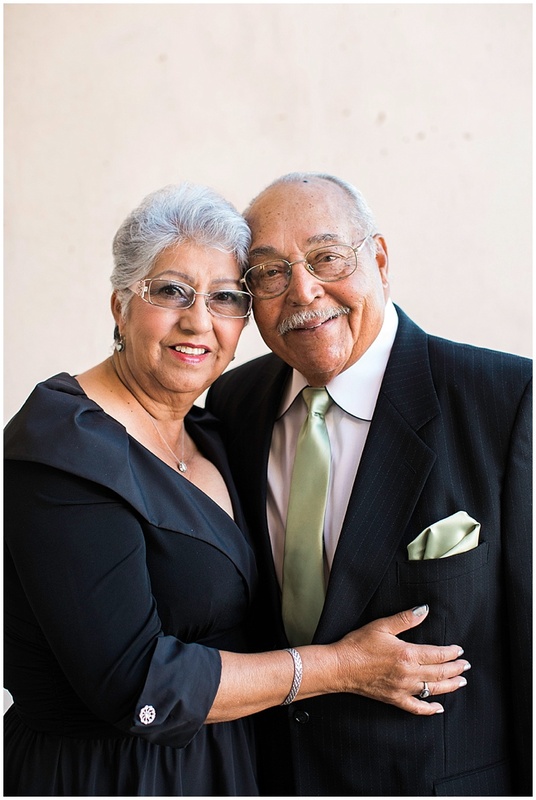 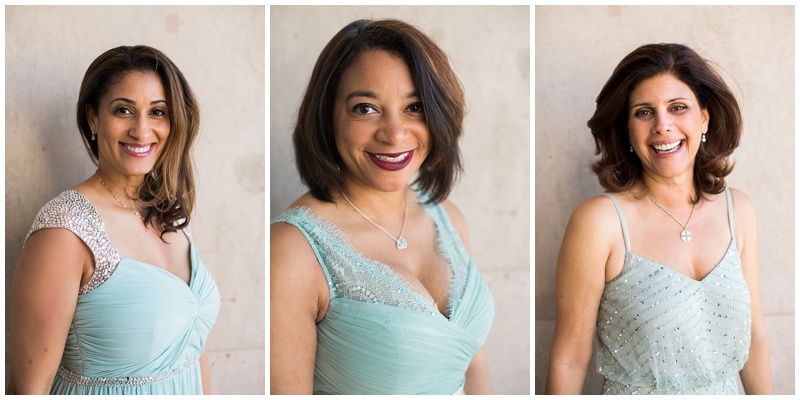 I love how their friends and family came together to make this such a special day! 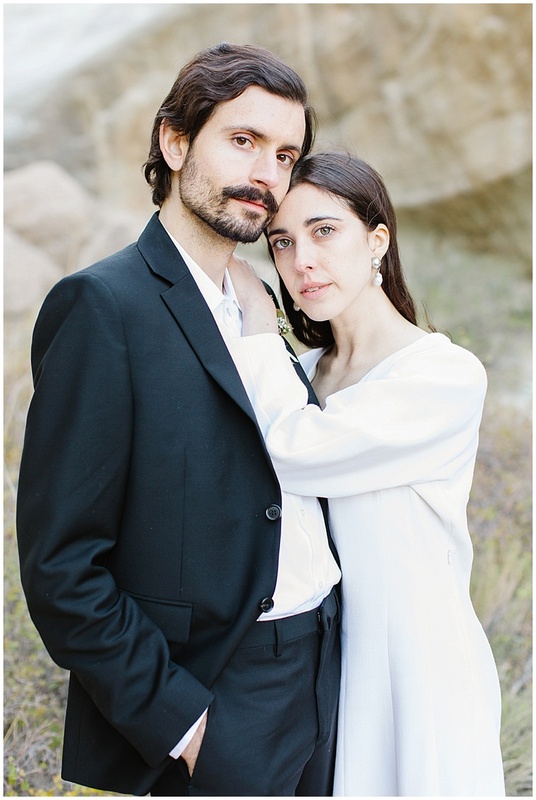 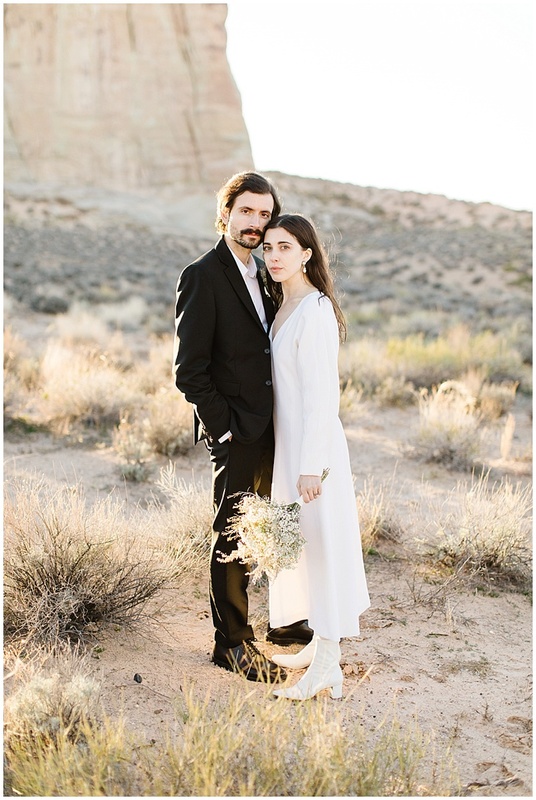 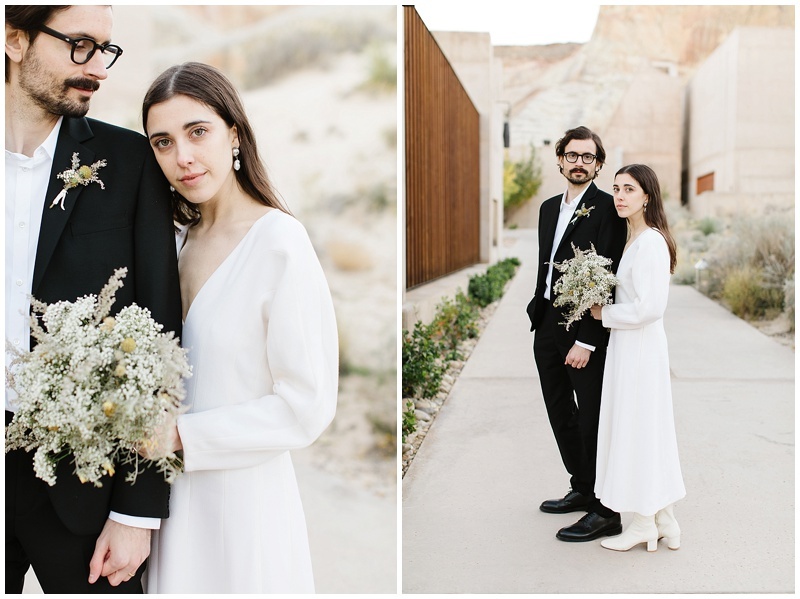 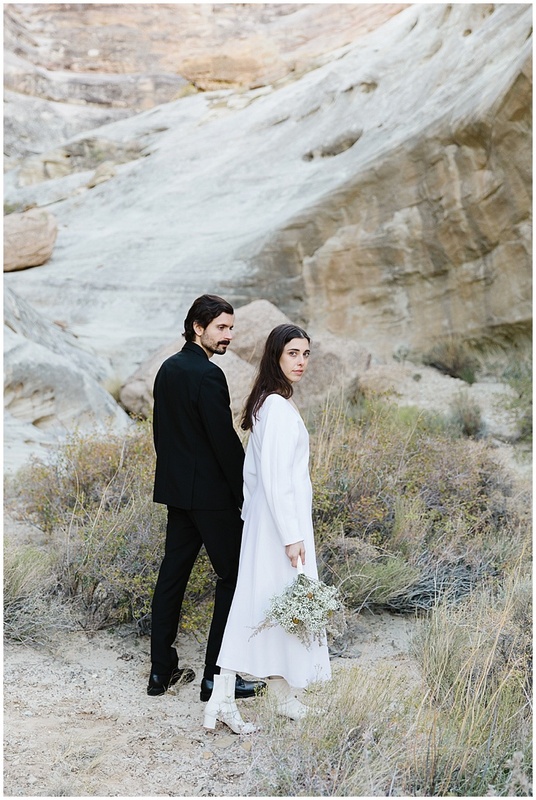 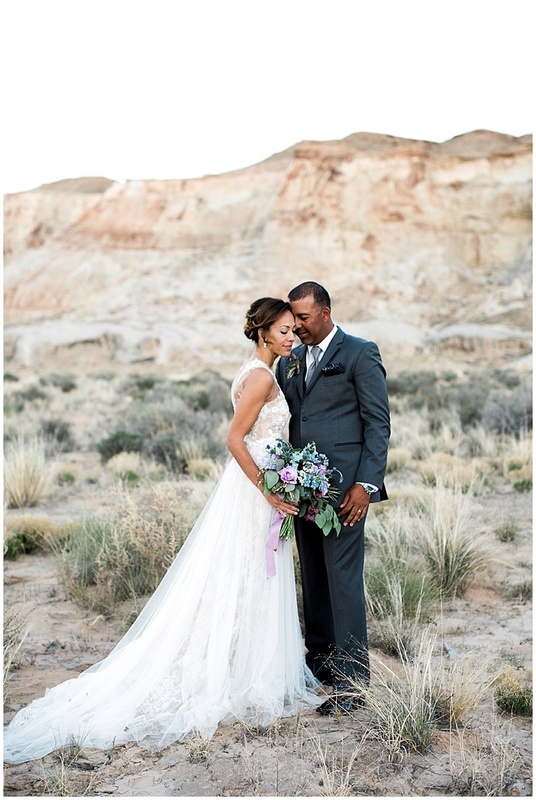 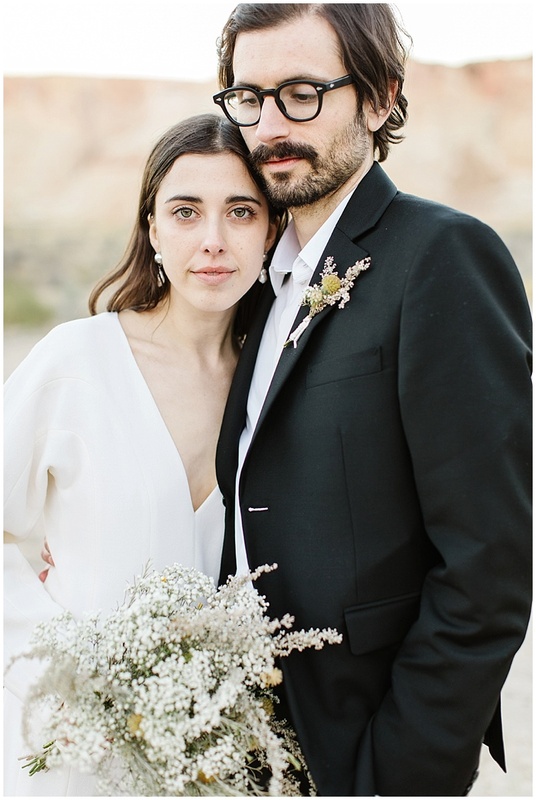 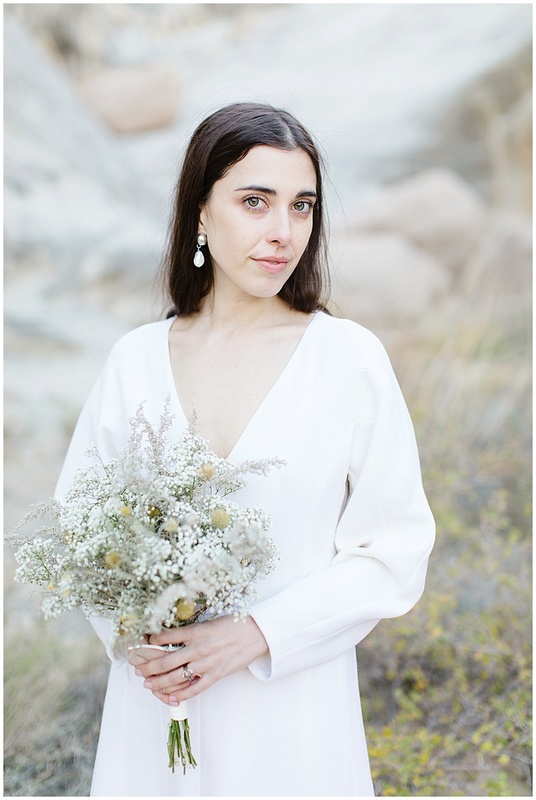 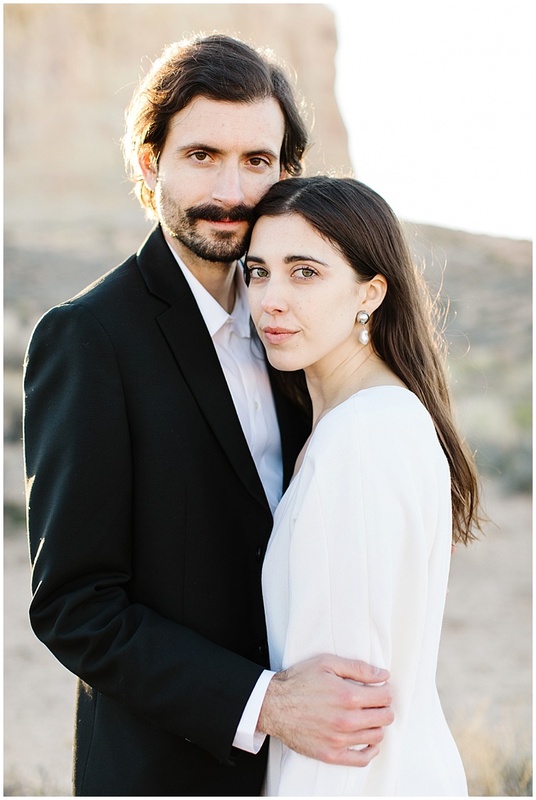 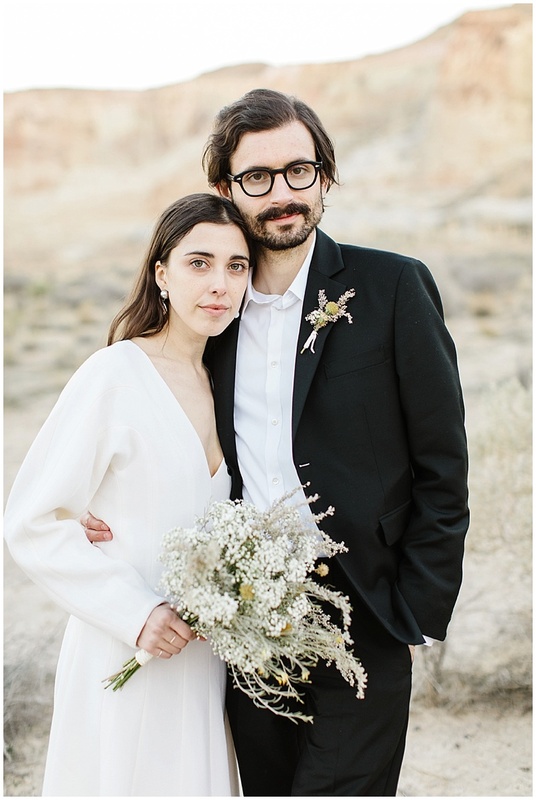 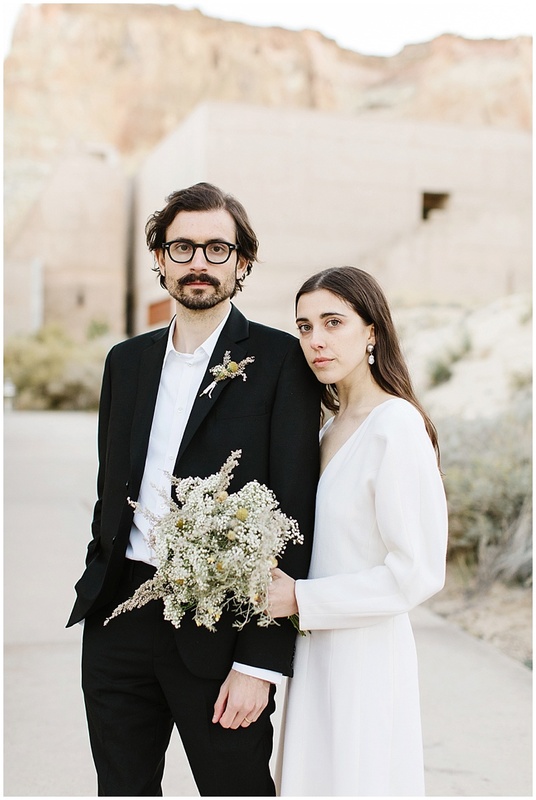 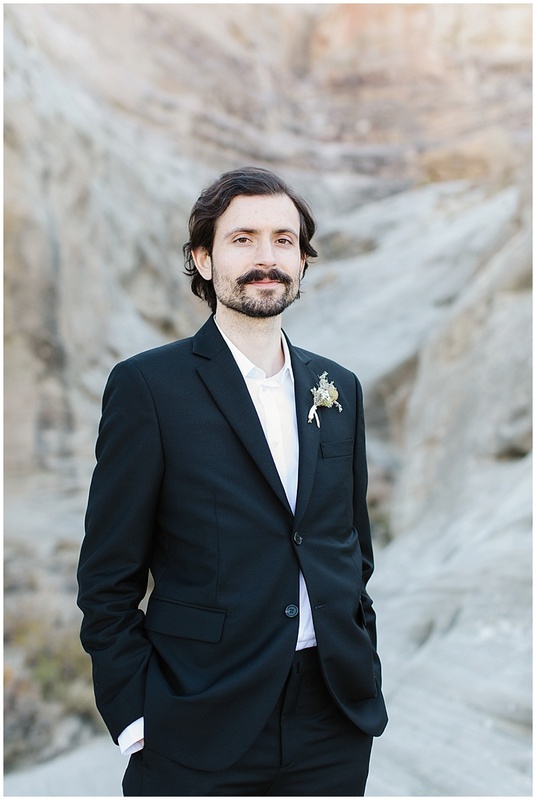 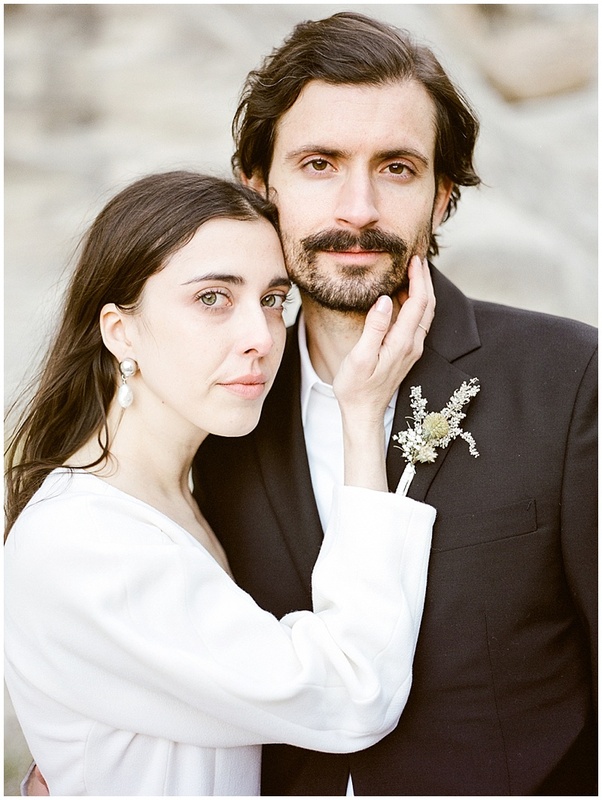 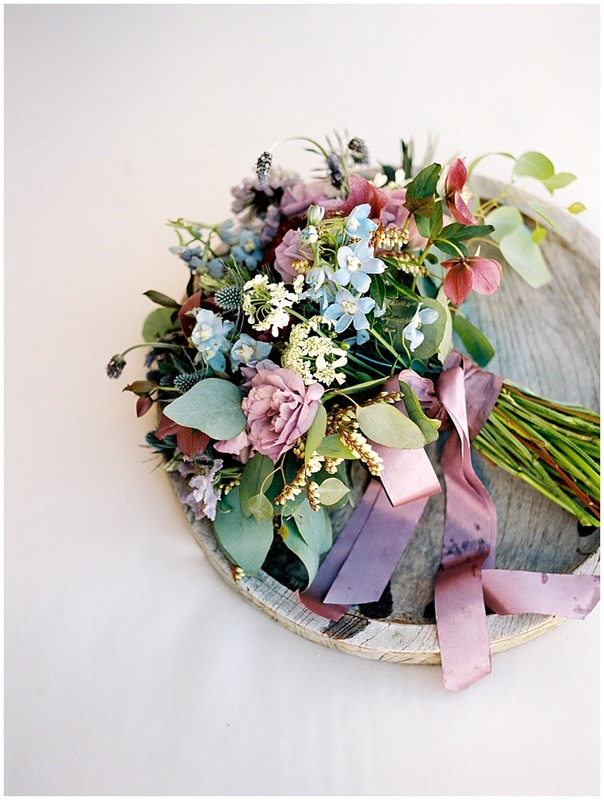 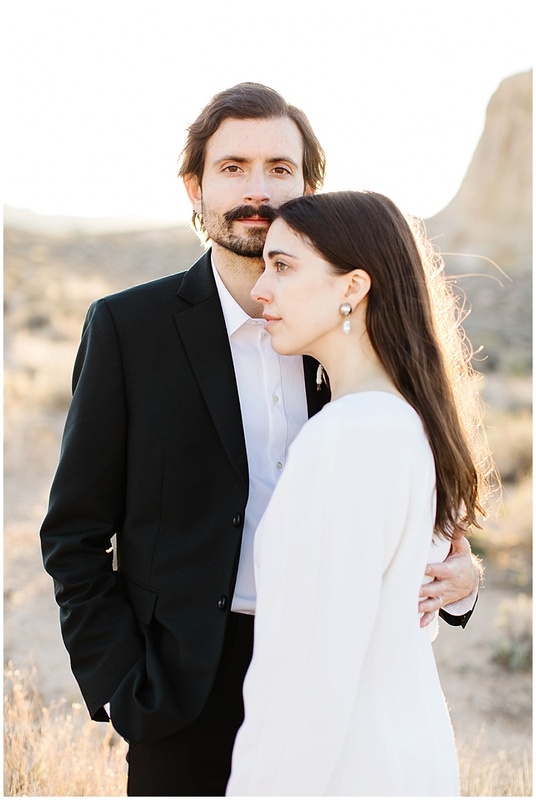 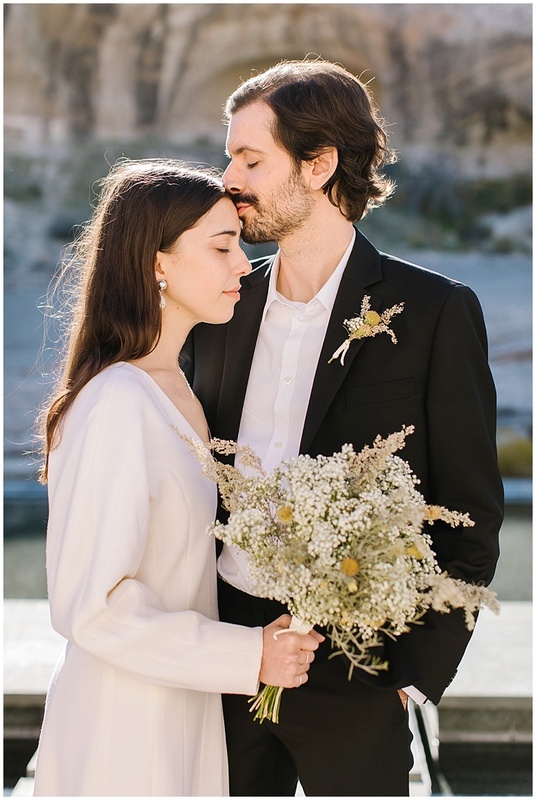 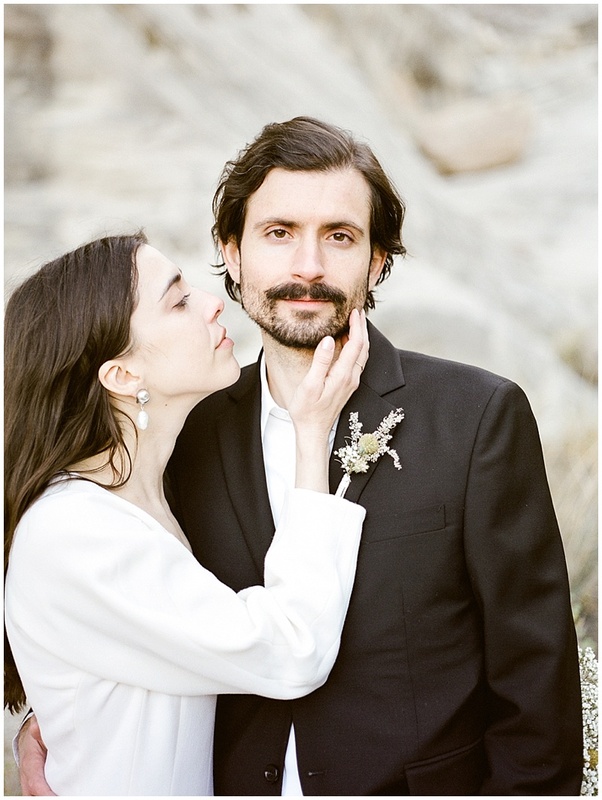 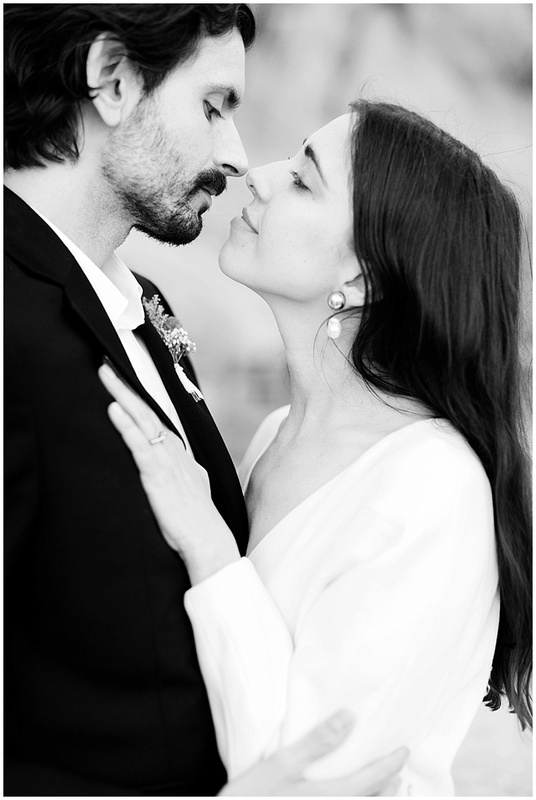 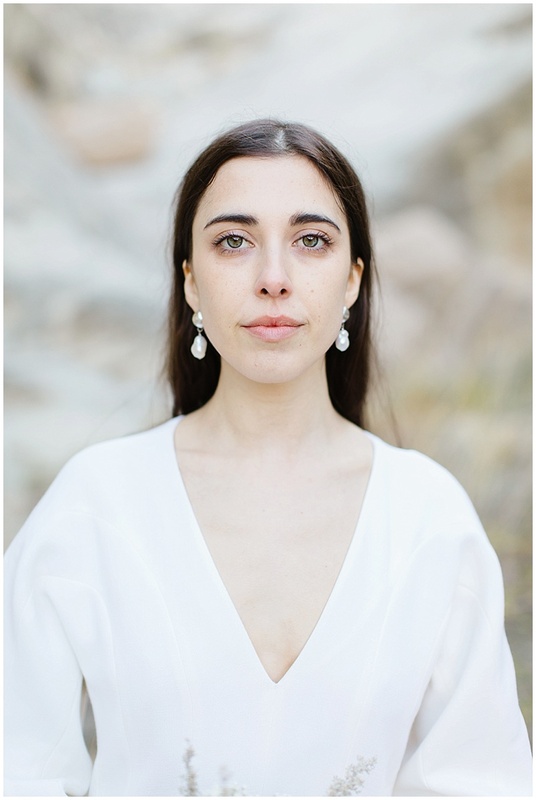 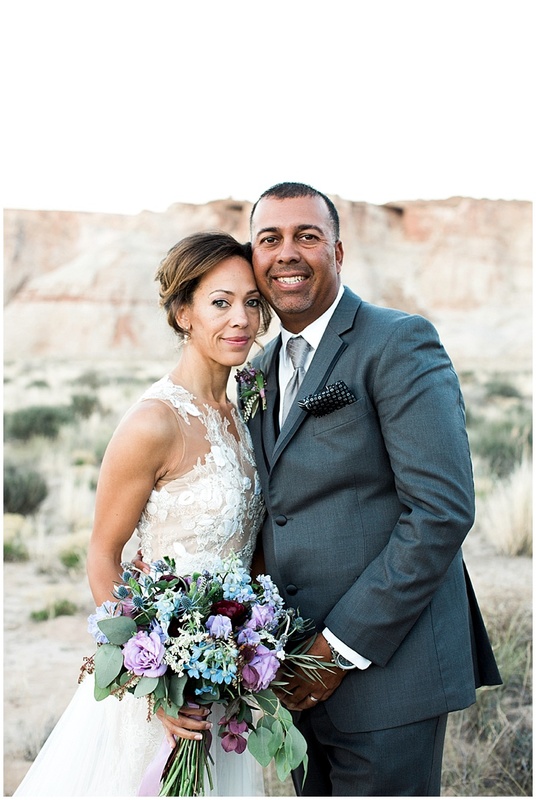 One of her bridesmaids foraged from the desert to create her unique bouquet and his boutonniere. 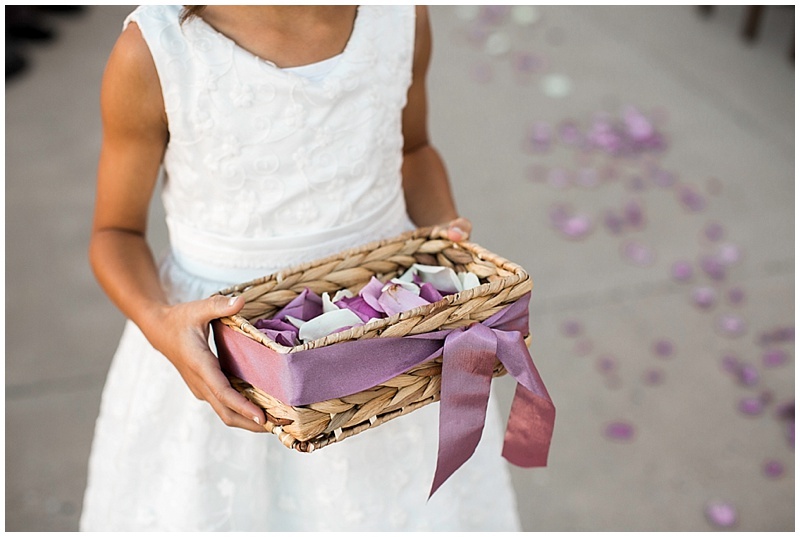 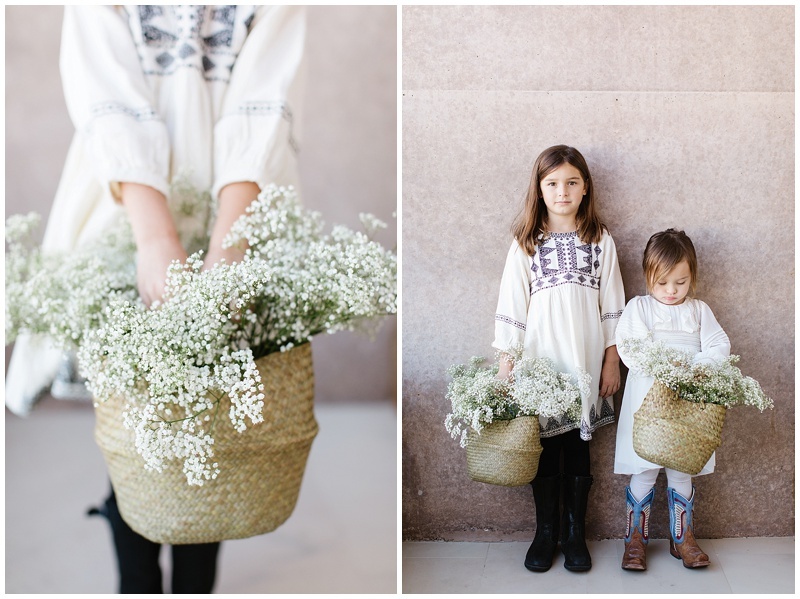 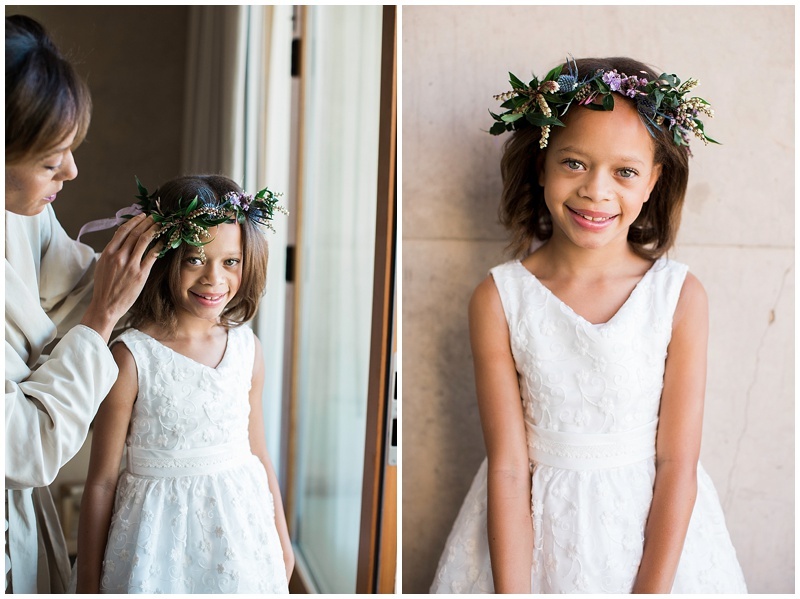 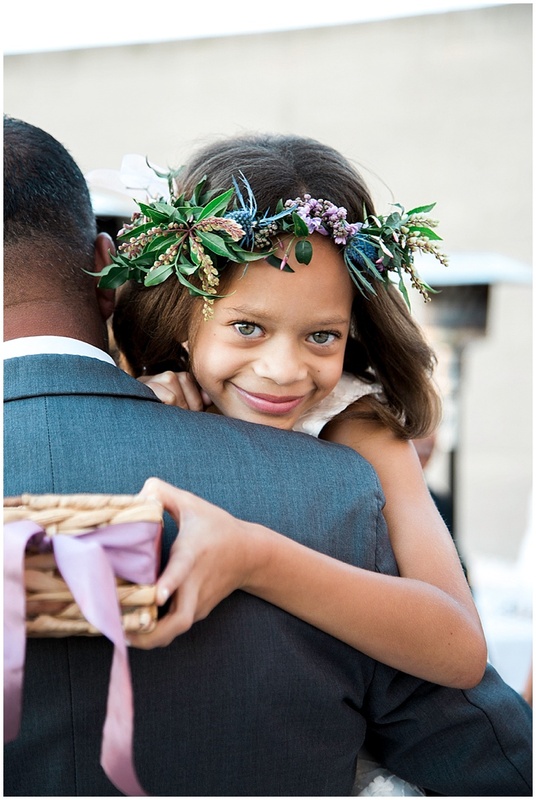 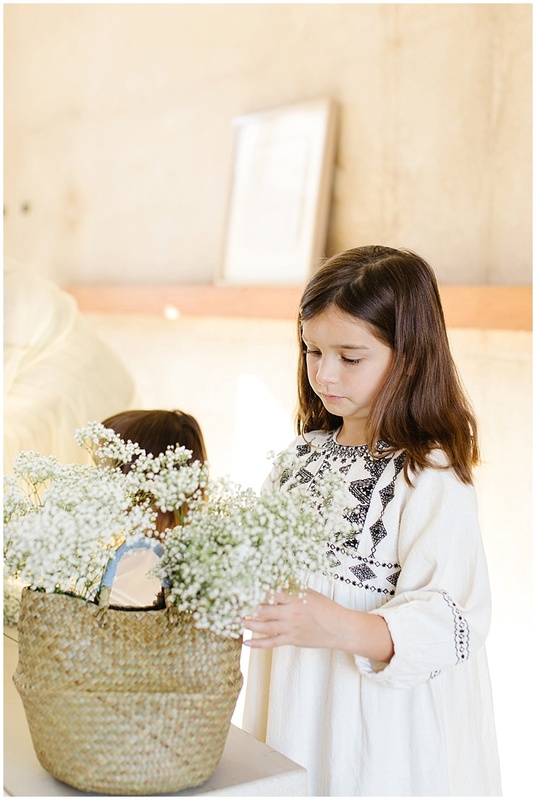 Her nieces were so excited to have baskets of flowers to walk down the aisle with. 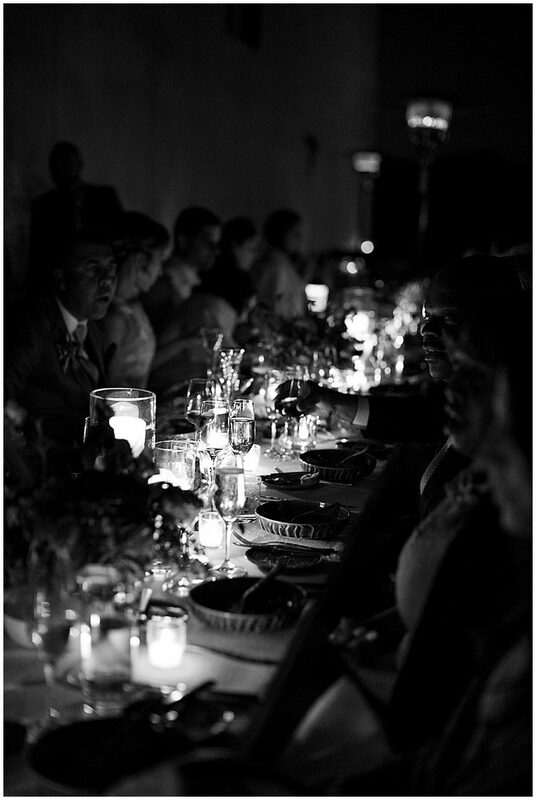 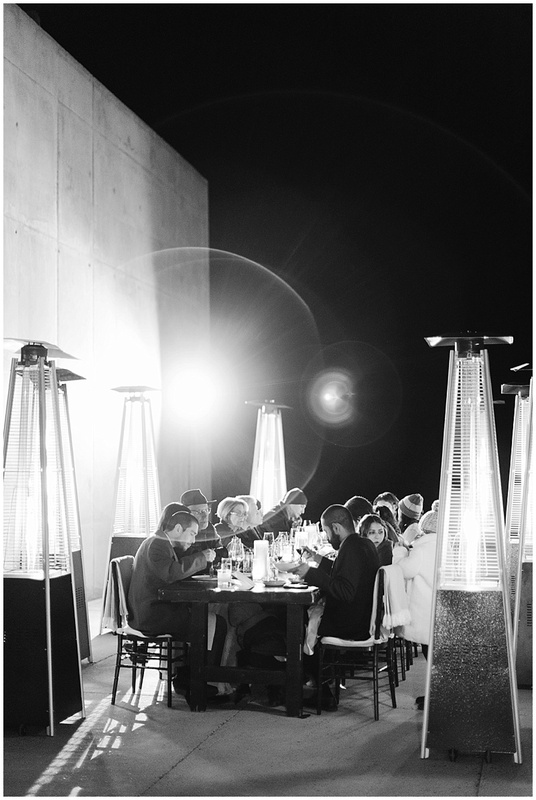 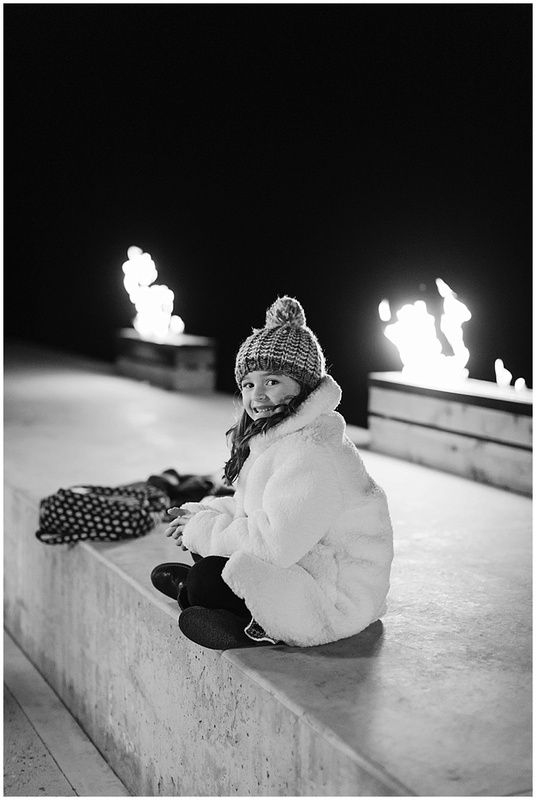 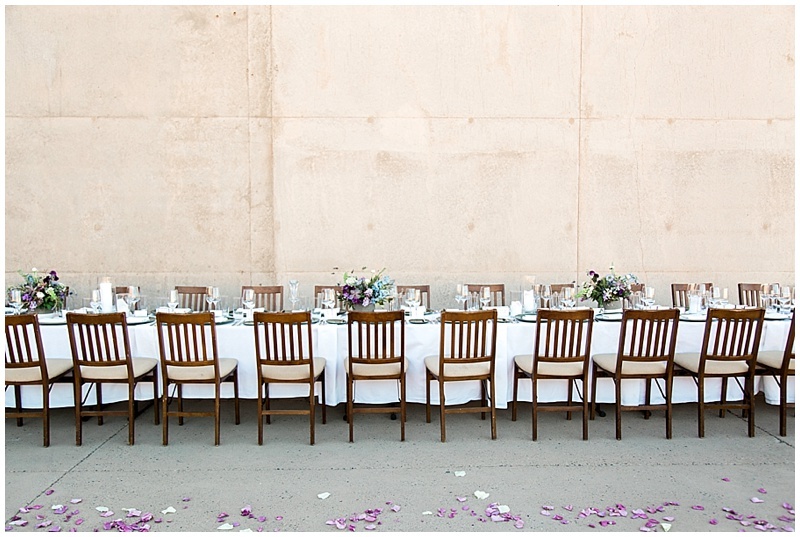 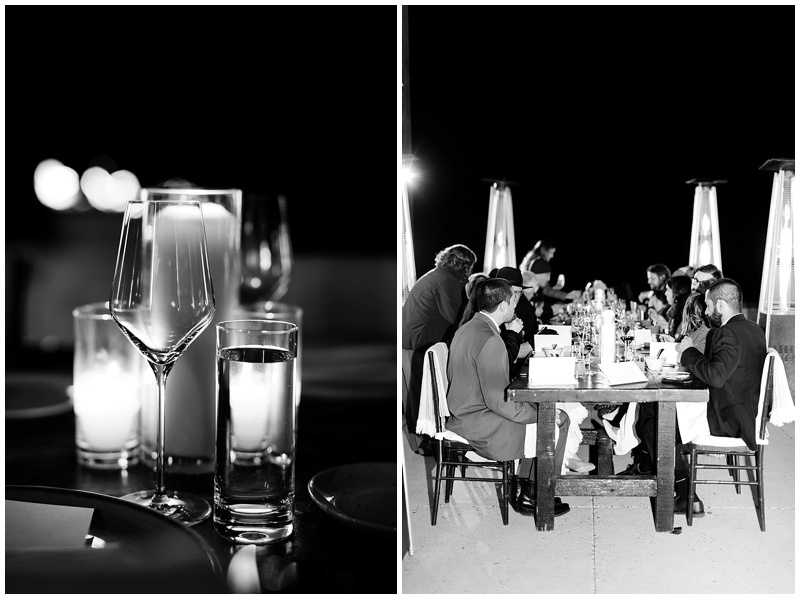 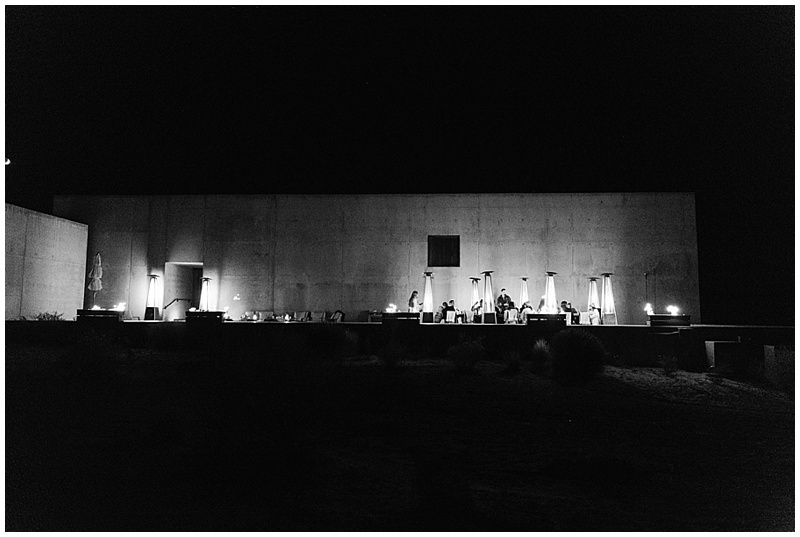 Once the sun sets in the desert, all of the light is gone, their dinner took place under the stars, with candlelight. 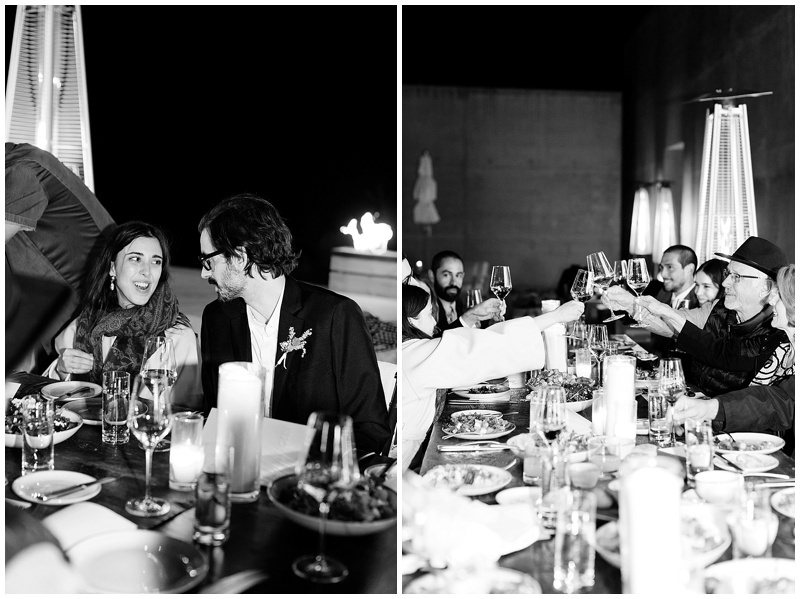 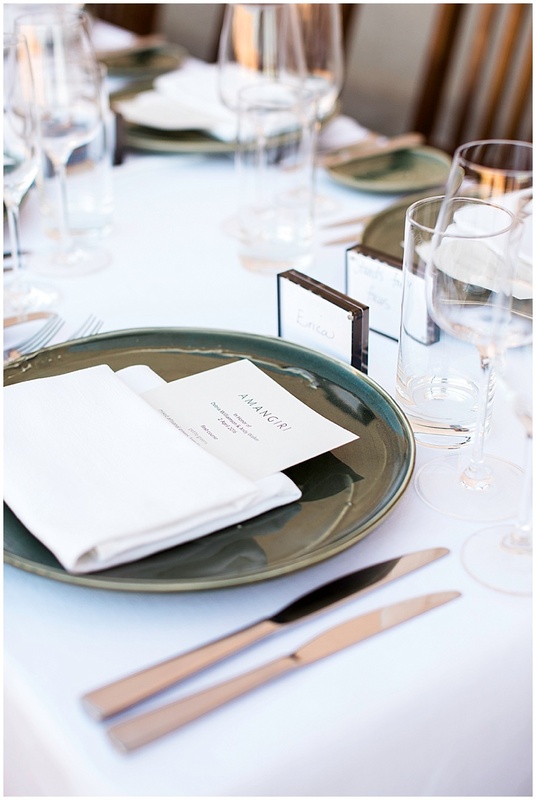 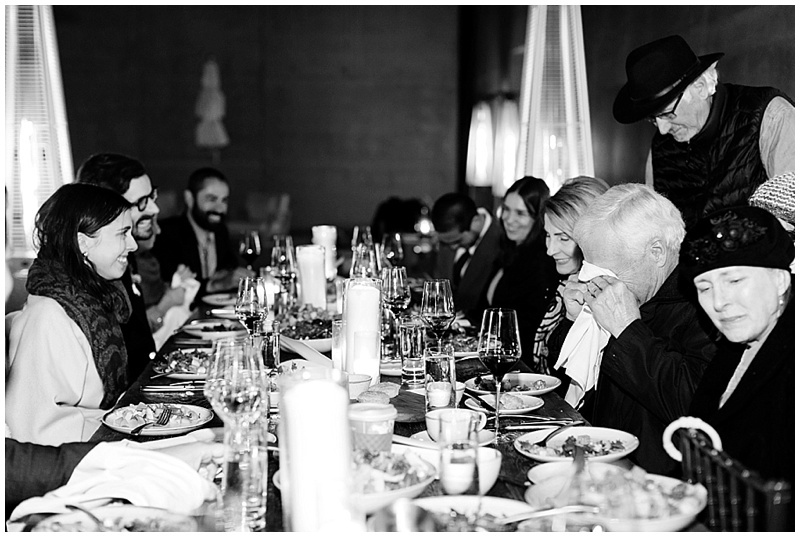 I love hearing toasts during the dinner, the Bride and Groom are so loved by their family. 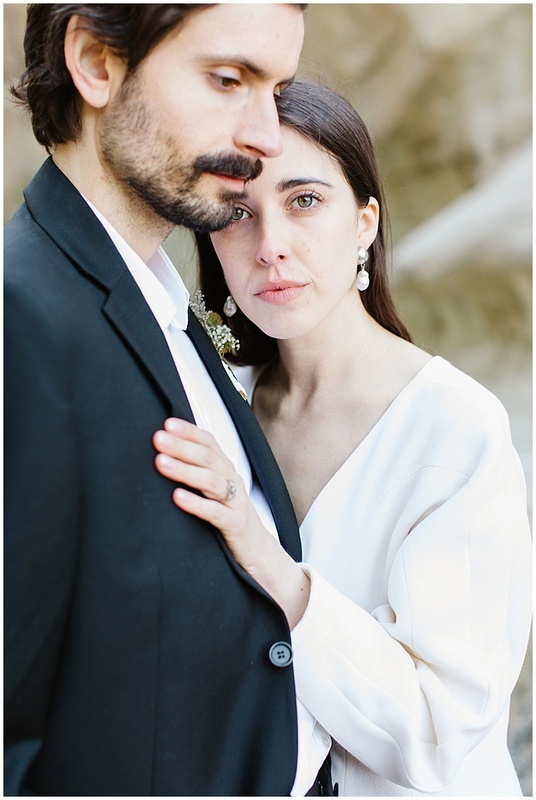 I choke up every time!